I officially declare this past event as one of my top three favorites. 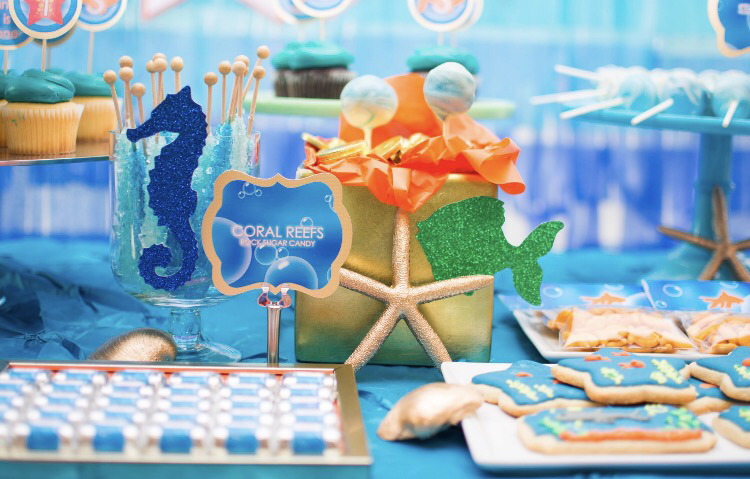 I had the pleasure of planning and decorating a client’s whale themed baby shower! The mom-to-be envisioned blue, gray and white for her nursery, so we decided to go with those colors for the shower. And because she was so enthused about some of my initial ideas for the shower, she gave me free rein to pick a theme. 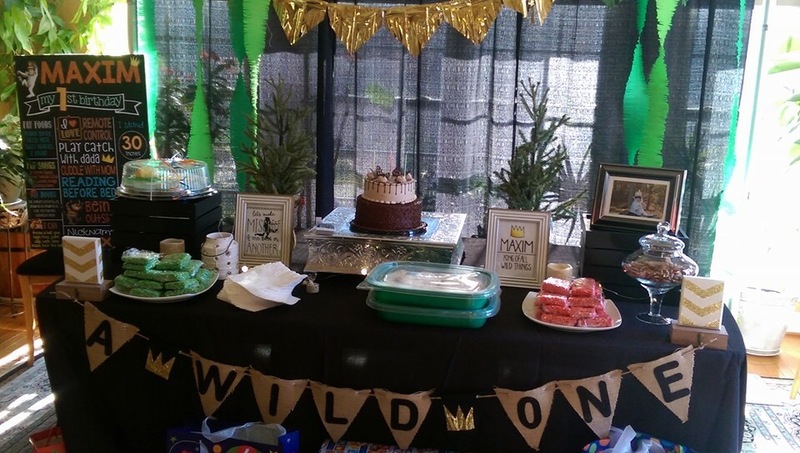 Ultimately, I came up with a whale-themed baby shower with a spritz of gold, baby blue, navy blue, grey, and white. 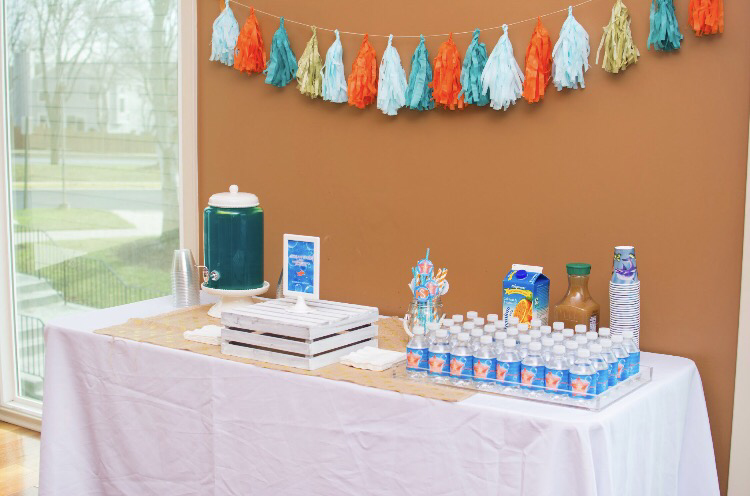 My goal was to create a fun and trendy for the parents- to-be and their guests. The event was to be held at a “loungey-cafe,” which was a little tricky at first because the venue had more of a “night out” vibe. I had to incorporate a lot of white to contrast the dark areas of the space and to accentuate the natural lighting that came in through the large windows. Once I had the theme decided and the concept down, it was onto developing my ideas and turning them into fun decorations! 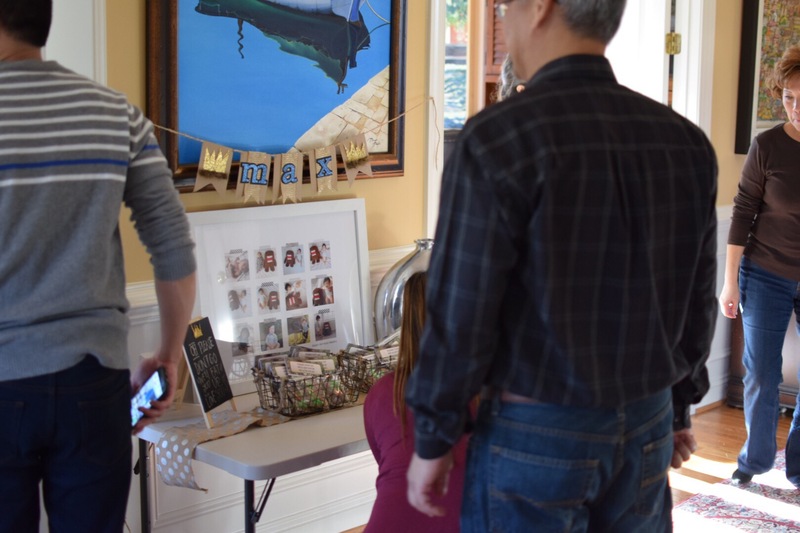 My décor consisted of handmade signs; a backdrop made with various-sized hanging balloons, homemade and personally frosted sugar cookies, a photo opportunity picture area with a decorated oversized frame, a fun baby diaper cake, and hand lettered signs. Many of the guests commented that it was a complete transformation of the lounge-cafe venue. 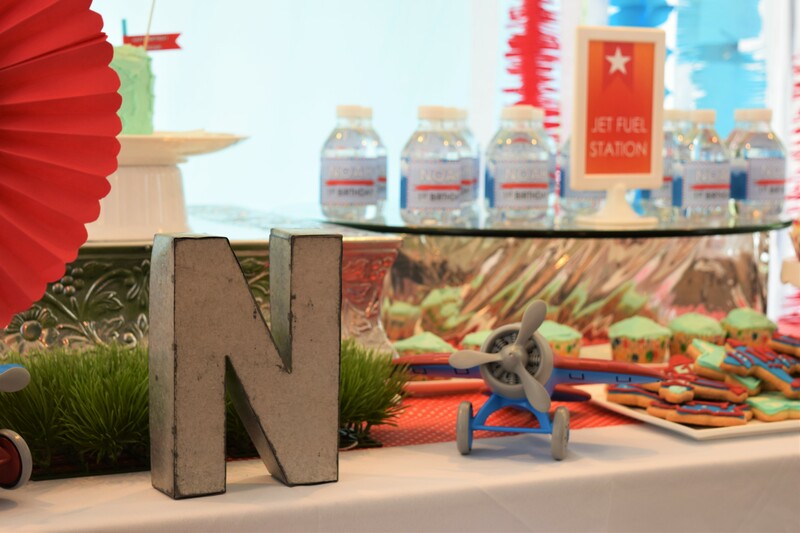 I also included several personal touches to the main table décor and helped host the games. 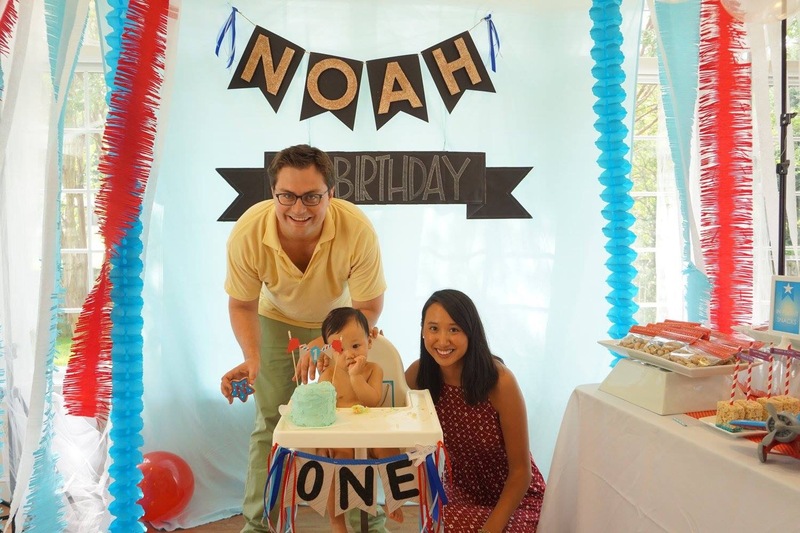 I loved the unique sign, the hanging cascade of balloons, the diaper cake, the BABY marquee, and just everything on this table made it my happy place. I quickly snapped some pictures and noticed things were off, and so it was not until later that I re-positioned the signs around to make it balanced (see the first “B” in BABY was blocked). This was definitely a showstopper for guests to swing by and be tempted by the desserts, but then held off and took pictures in front of the table front. The details were what I was very happy with! It was simple, but simple is all it took to make the table grand. The mom-to-be, Canan, craved for all things lemon. Per majority of people who have tried my lemon cookies, I baked these for her and her guests to enjoy. I made sure she took a box home for herself to indulge – lol! Here are other pictures of the personalized signs I created for the parents-to-be. I hope they will get lots of good uses out of these *hint hint*. I love that I can create something, that was meaningful, and can be displayed in their baby’s nursery room. my favorite piece that I’ve made – Baby Wishes sign! Then there was the photo opportunity that everyone took advantage of. I was so happy how this turned out. A lot of guests got good uses out of the props along with the backdrop. The natural lighting made guests looked very refreshing. 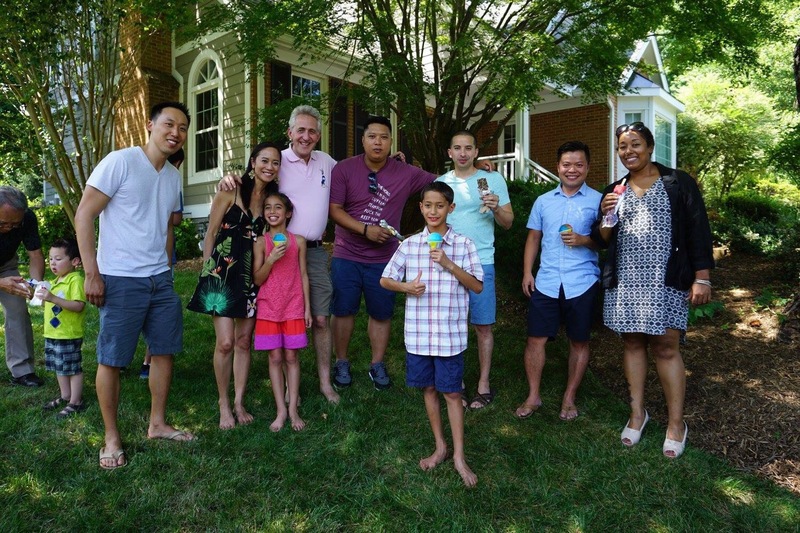 Lastly, it was important to me that my clients were happy with the whole event. 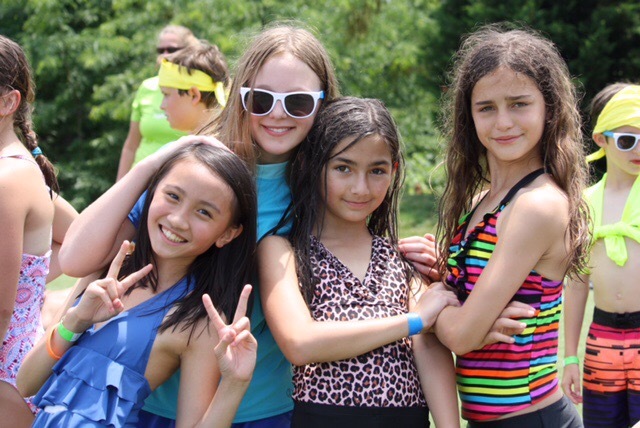 Both Canan and Guven were blown away with the whole event and immensely over the moon with the decor and games. I definitely got to see people laugh and smile, and to me, that was the icing to the cake! I just love LOVE planning baby showers! I had the pleasure in making signs for the beautiful bride! She had asked me specifically to help her with various items with certain writing styles. I took my time to work on this rustic wood wedding sign, and the result with the floral decor was absolutely breathtaking! 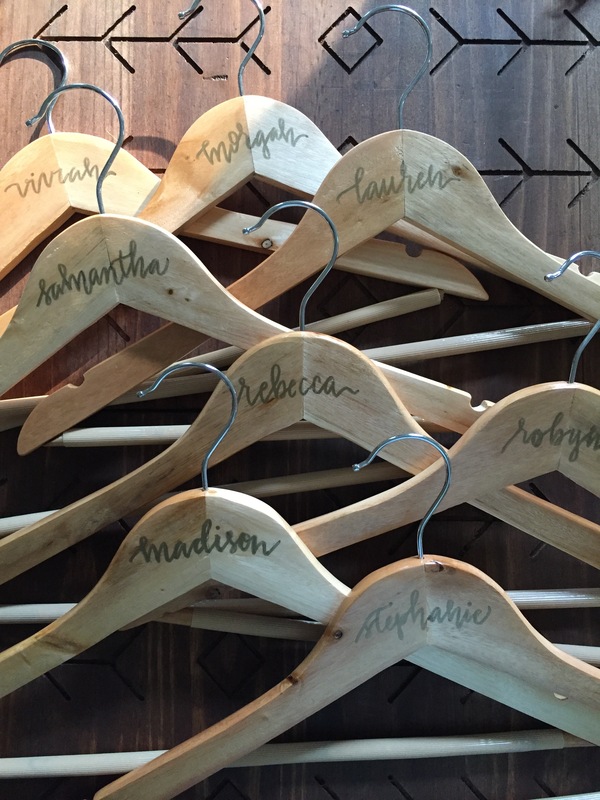 I most definitely enjoyed making personalized names on wooden hangers for the bridesmaids + flower girl. I used an embosser to help give it that pop! 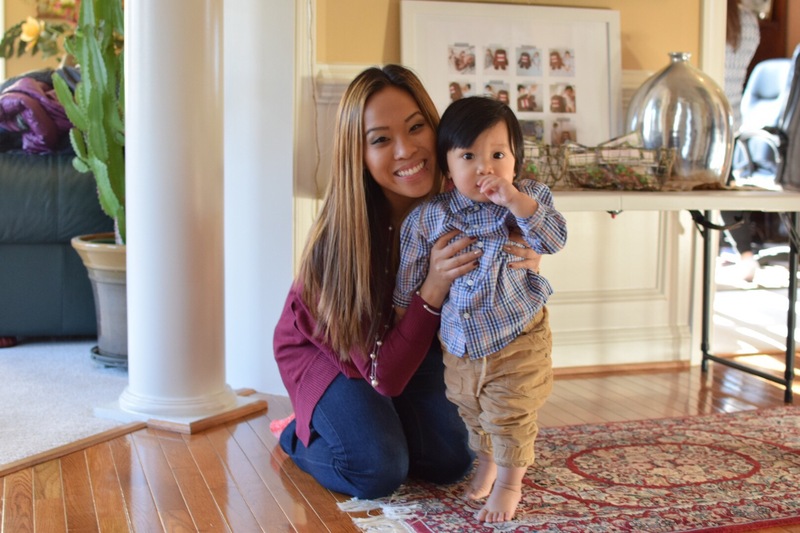 I am so excited to share with you one of my December events: Skandha’s First Birthday. 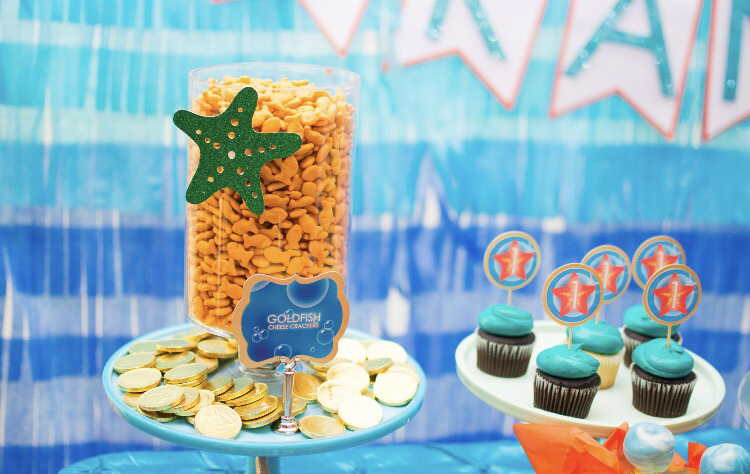 An “Underwater Treasure” themed party. I was bursting with ideas for this event and my clients were on board. They trusted my vision and gave me the freedom to do my thing. 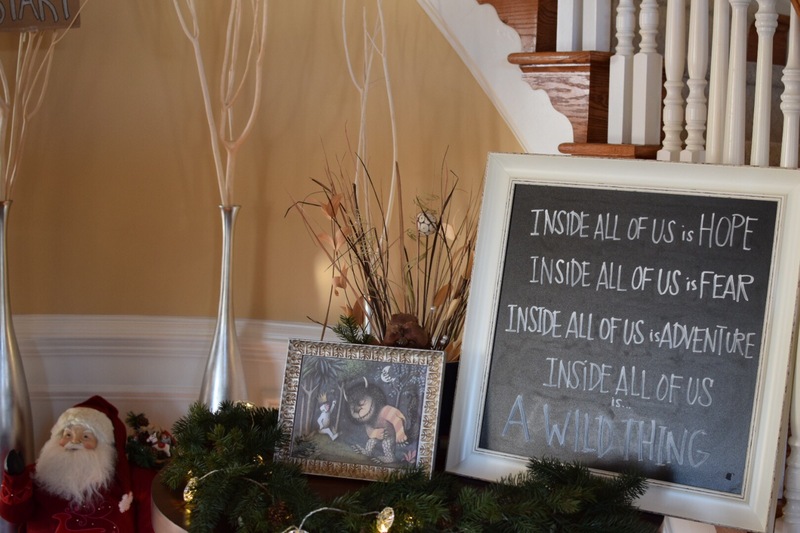 There were so many design elements for this party that I loved that it’s almost too hard to choose just one thing that I liked most about the decor. But if I had to choose one thing I was over the moon about… I’d say that it was the party favors. 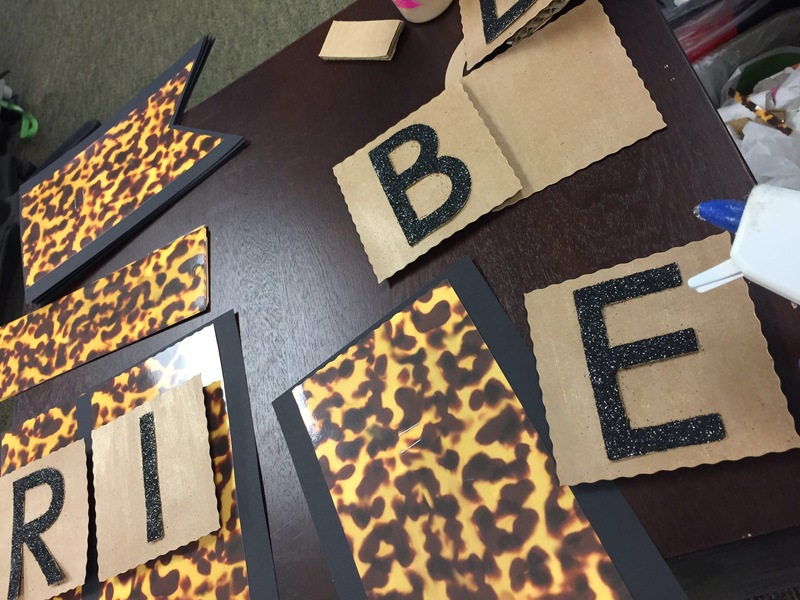 Coming up with items to put into a party favor box and decorate the outside. If I was the one of the kids receiving that box, I would definitely be one happy kid! 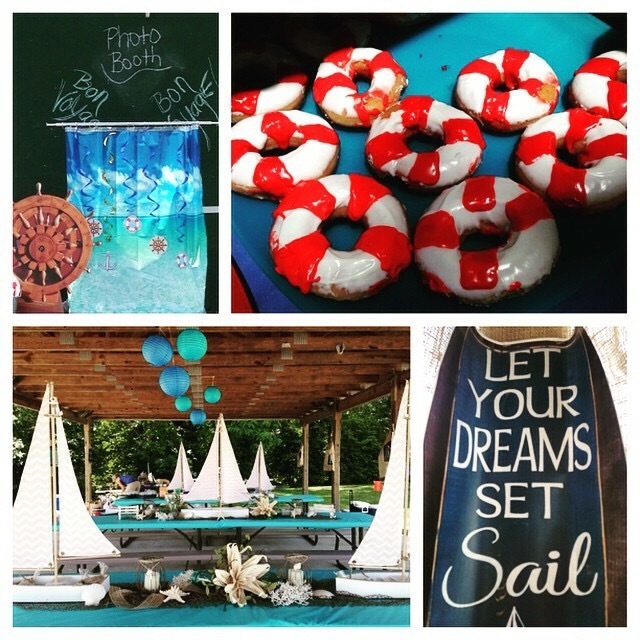 I follow Mon Soiree party planners – they are from Australia and are great at what they do! 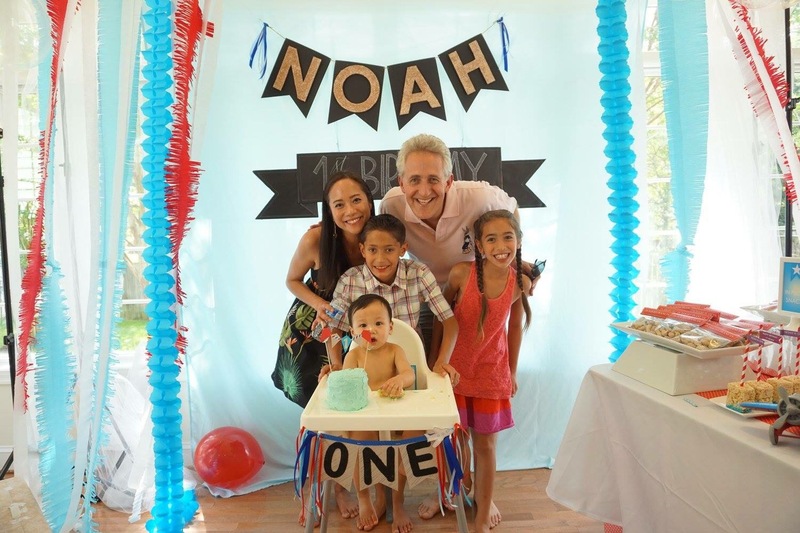 They were my inspiration for this party, and it showed in some of the design elements that I incorporated for this theme. 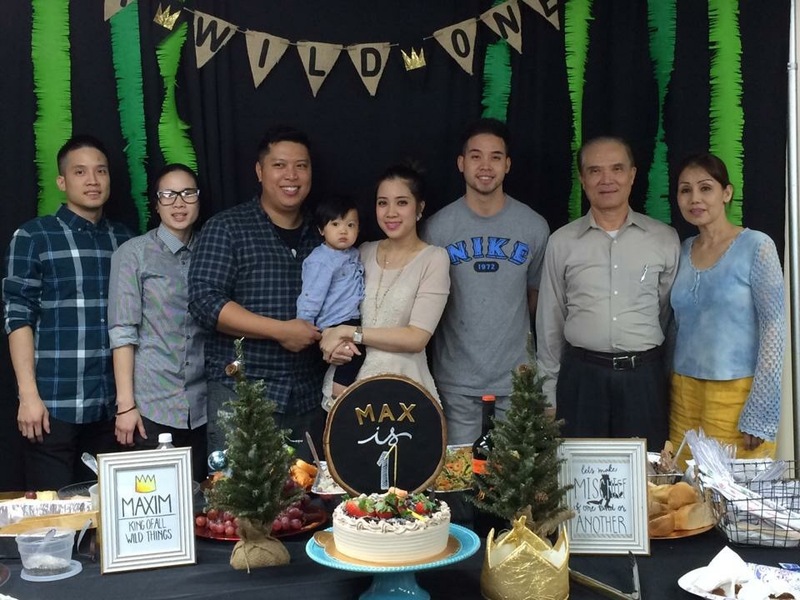 Overall, my goal was to really make this a beautiful event for not only the birthday boy, but also his parents, my clients! They were thrilled with the overall look and saw that I really paid attention to the small details. Yep, that would be me! I am so excited to share these pictures with you! I really had a great time coming up with design ideas for Skandha’s birthday ! I cannot tell you how many times I smiled while gluing, cutting, taping, attaching, stringing together all the small details together. 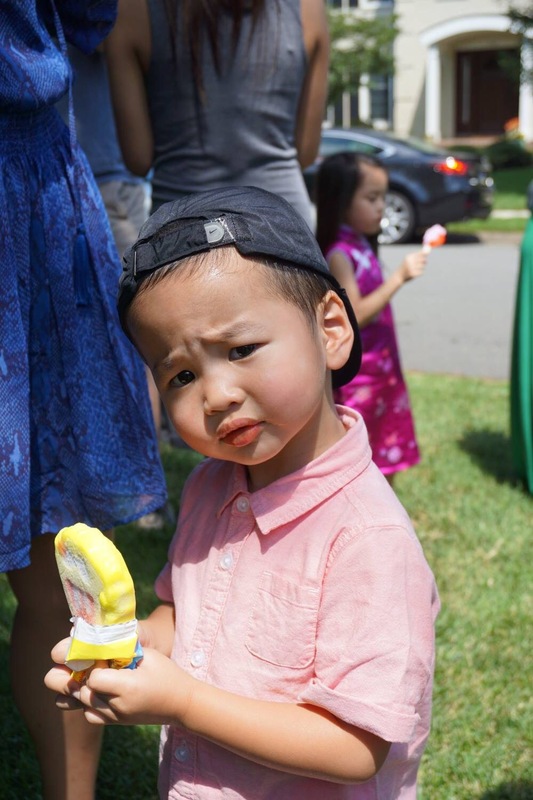 I was super excited when Jessica contacted me for her son’s first birthday party. I was even more excited to find out that she ALSO wanted to celebrate her own birthday. 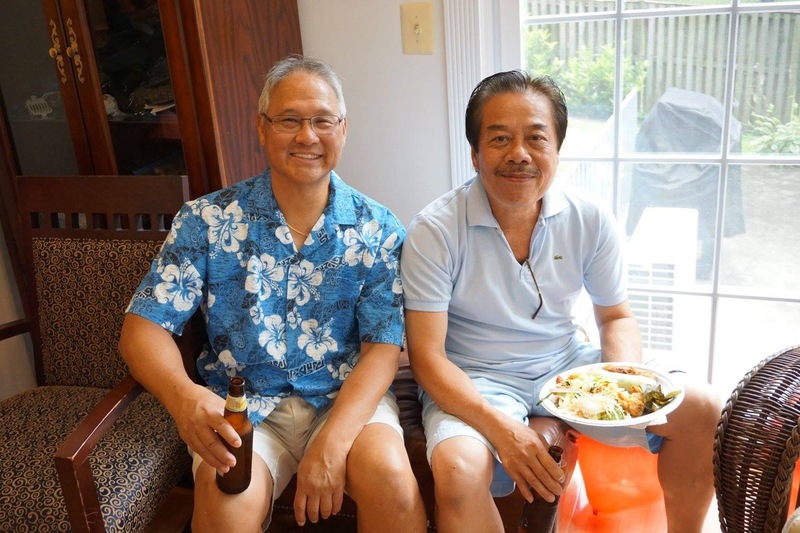 A joint-theme birthday party for both of them was something that I hadn’t done yet, but was enthused to give it a shot. 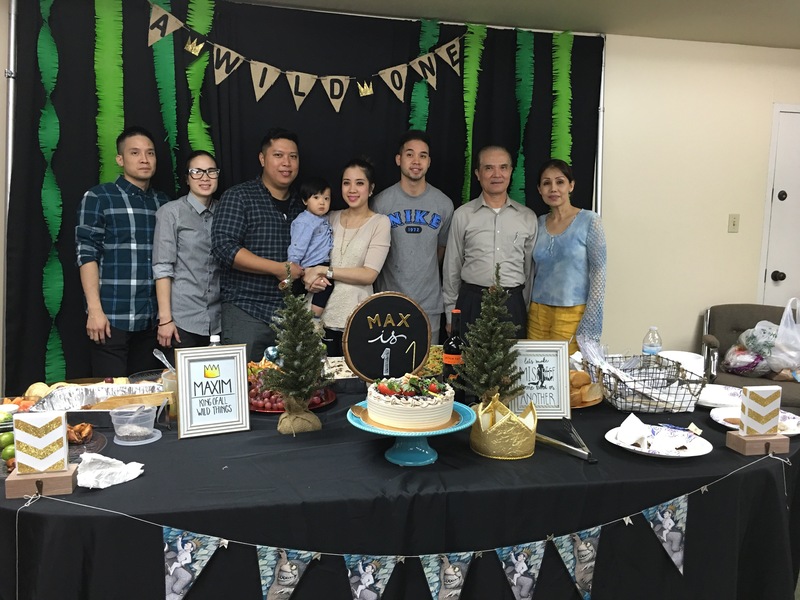 She had a few ideas which were narrowed to either an UNO theme or Mama + Baby Bear theme. Without question, I was hoping that she would choose the Mama + Baby Bear theme, because I was full of ideas and up for the design challenge! 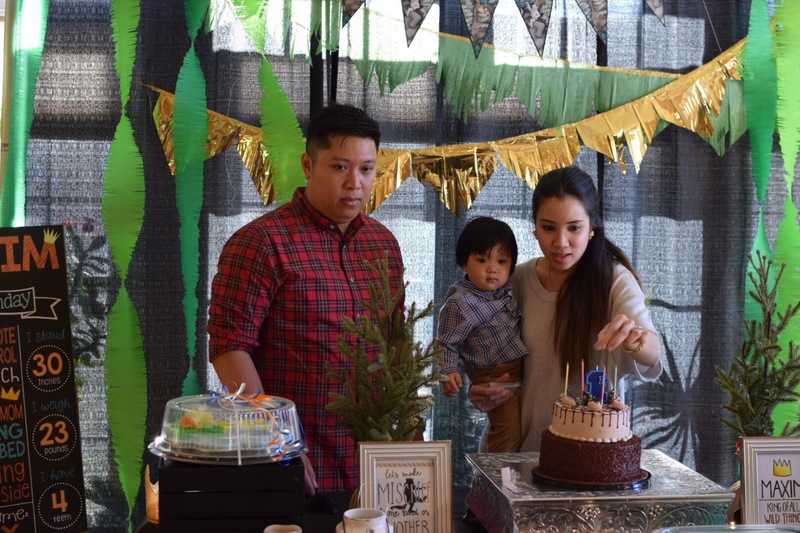 It took weeks to design and plan this duo’s birthday event. The verdict: my client was over the moon with excitement, as were all of her guests. I showed my client a design of a sugar cookie that I stumbled upon on Be Sweet Bakery Omaha‘s Etsy page. I loved the simple grizzly bear cookie design, and was happy (and relieved) to find that Jessica loved it as well. I focused on that silhouette and aimed to make it a primary image throughout the party decor. The week of the event, I had to bake these sweets in advance, so I spread the process out over a few days. Mama Bear asked for an Adult Drink table too! I was happy to oblige. I loved how simple yet eye-catching the area was! I wanted to make sure that she felt that it was also her special day. 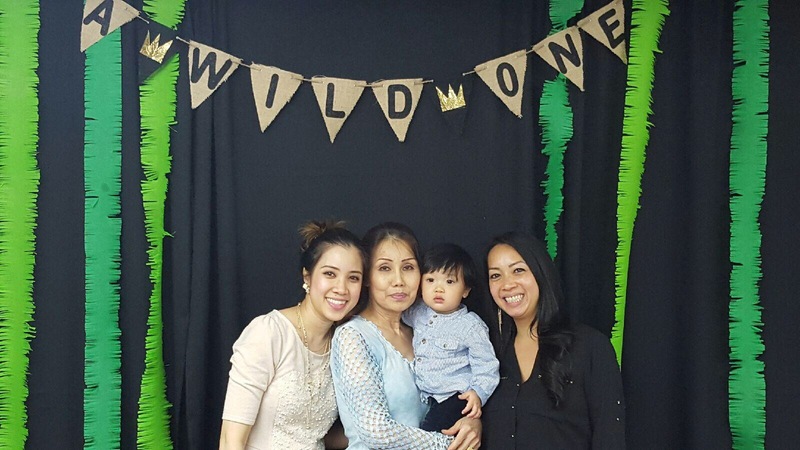 I made a banner and set up a photo-op area for her friends and family to take pictures. My friend and I spent a whole week baking for the Saturday festivities. 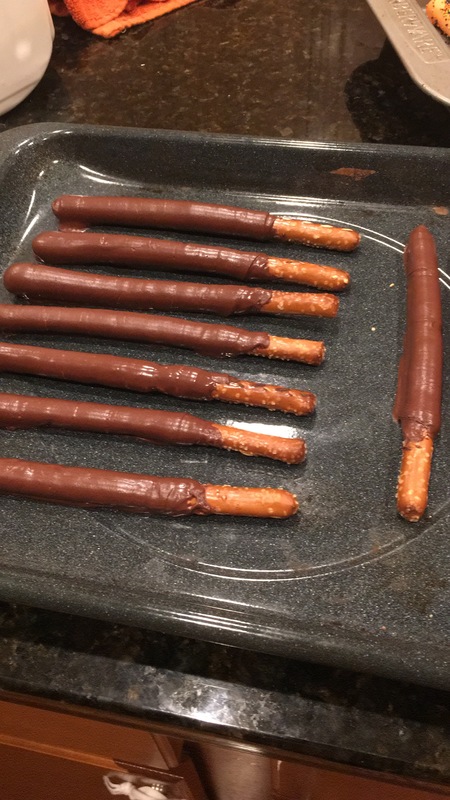 We love the way the chocolate covered pretzel sticks turned out! Overall, I had a blast working with mama bear Jessica! When we met, we just clicked. I wanted to really wow her and make sure the party turned out spectacular for her. I know this will not be the last time I will be hearing from her. Need me to plan and setup an event for you in the DMV area? 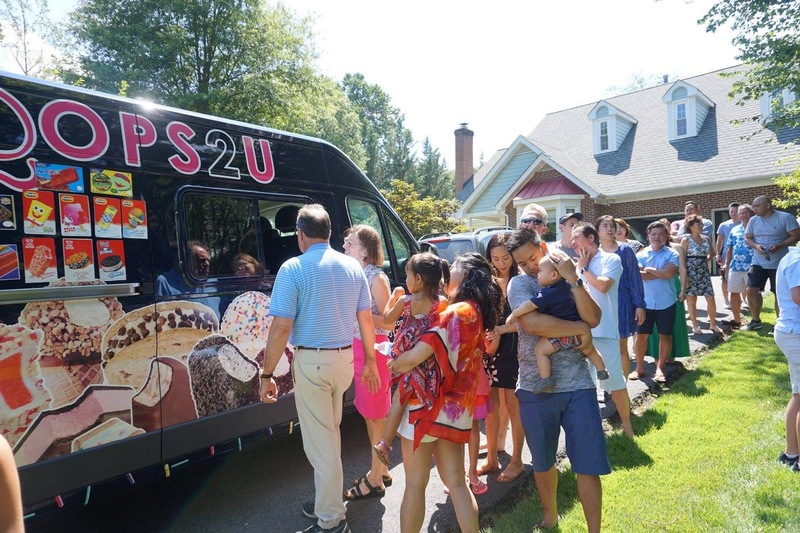 Would you like me throw an event just like this for you? I can make this happen for your special occasion! Feel free to reach out to me via merrylavenderevents@gmail.com or fill out the form below. 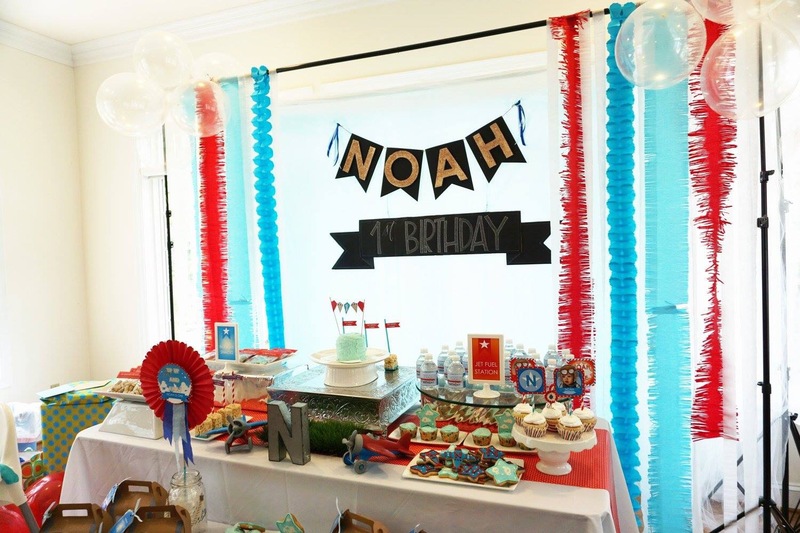 I had the pleasure of planning and decorating for a sweet little boy’s first birthday! 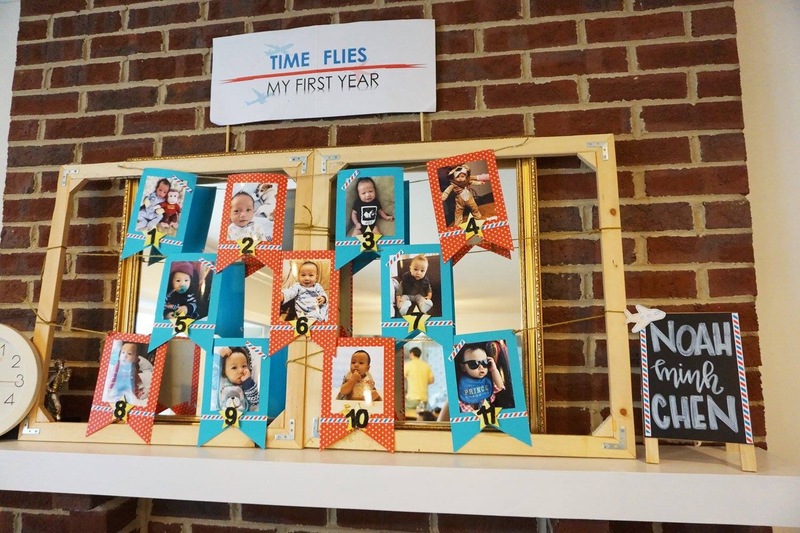 The theme the mom wanted was airplanes. She sent me three pictures of what she had in mind. Ultimately, I came up with a kid-friendly design in bright colors that would be appealing to the younger kids. Now that I direction with the theme, it was onto developing the decorations. 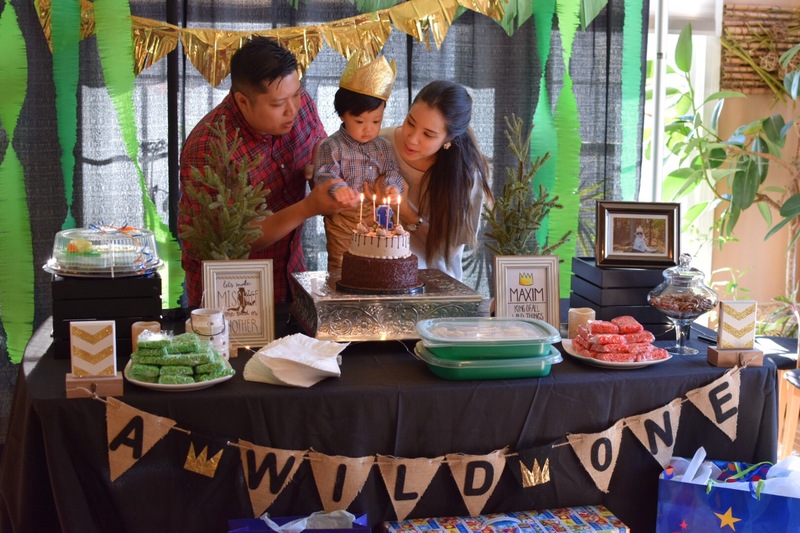 My décor consisted of handmade signs, a backdrop made of various types of streamers, sugar cookies and rice krispies I have baked and frosted, created gift boxes for the kids to take home, decorated the highchair, basically a complete transformation of the sunroom. 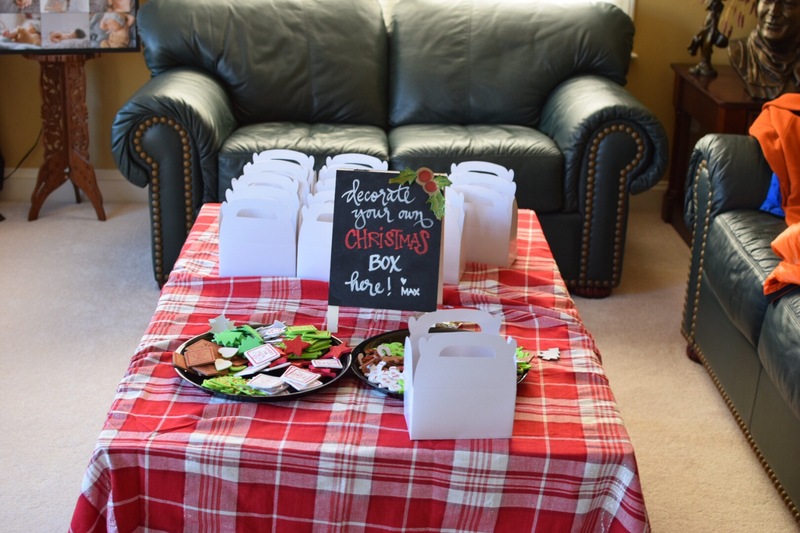 I also included a lot of personal touches to the table décor, and some of the treats. I kept the cost down, by focusing on handmade decorations. 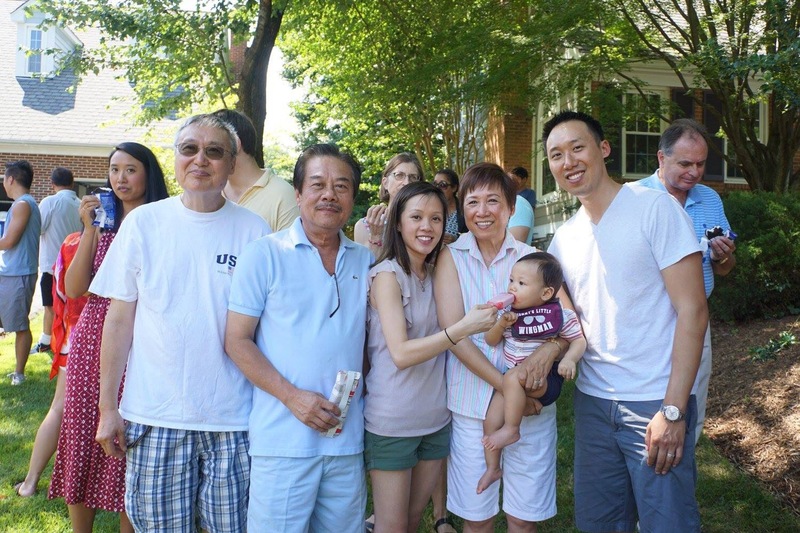 Overall, it was a big hit the family and definitely with the guests. 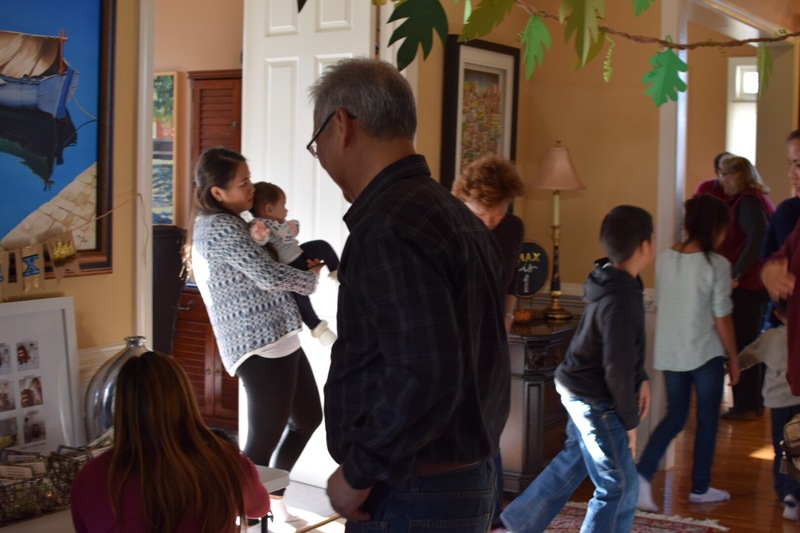 I had fun coming up with the décor for the party, and seeing the parent’s faces blown away. Upon entry, I’ve made a Welcome Aboard signage at the door. At the foyer, I had guest Check-In, and write in their name on the clouds and post on the painted canvas board I had made. 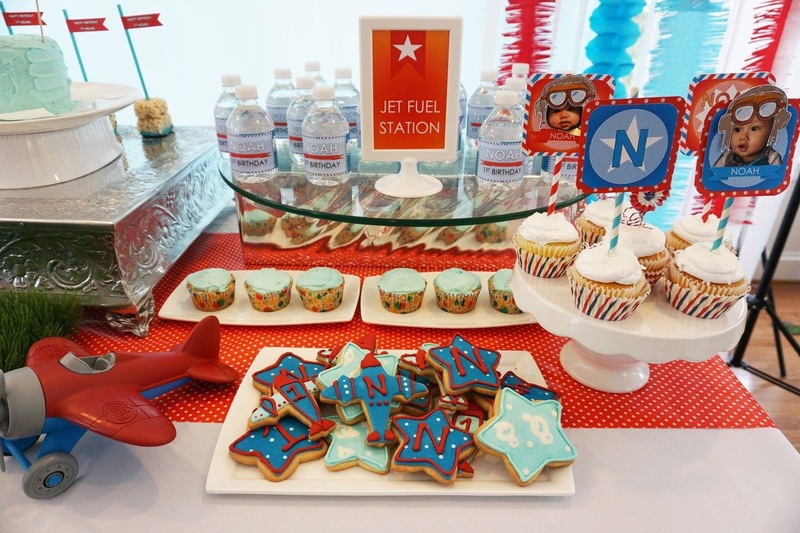 The client loved this particular website’s party decor and so I had a lot of inspiration from Jenny’s event for her son, Ben’s 3rd Birthday party. 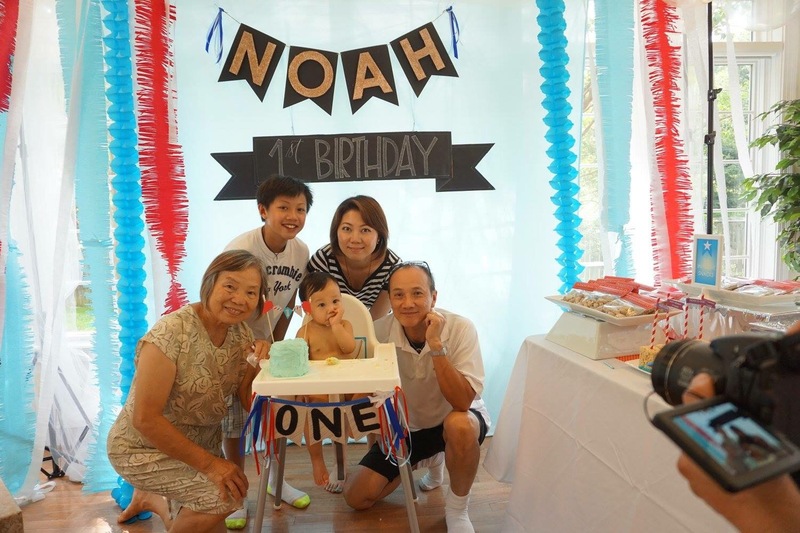 you have to admit, the pilot hat on noah sure is cute! huh?? 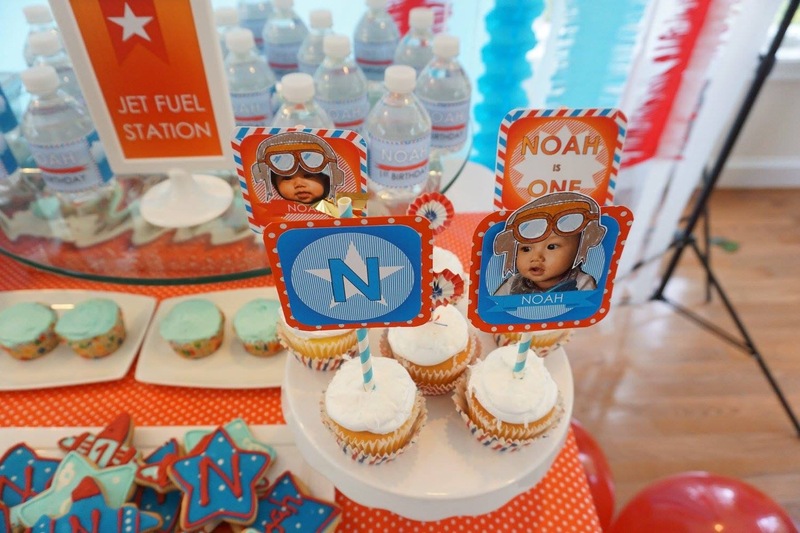 I had utilized this website for their water bottle template – to match with the airplane theme from a fellow blogger How To Nest For Less: Train Themed Birthday Party. 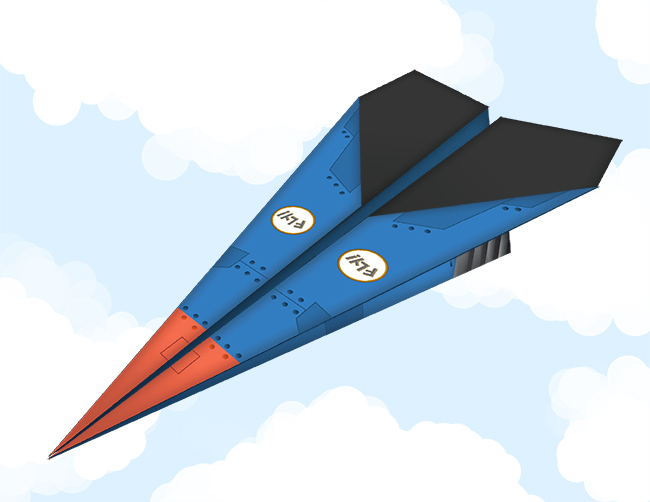 As for the party favor boxes, I’ve utilized Tim Vandevall’s paper airplane template printed out for guest to fold. I have included airplane tattoos for the kiddos and adults! 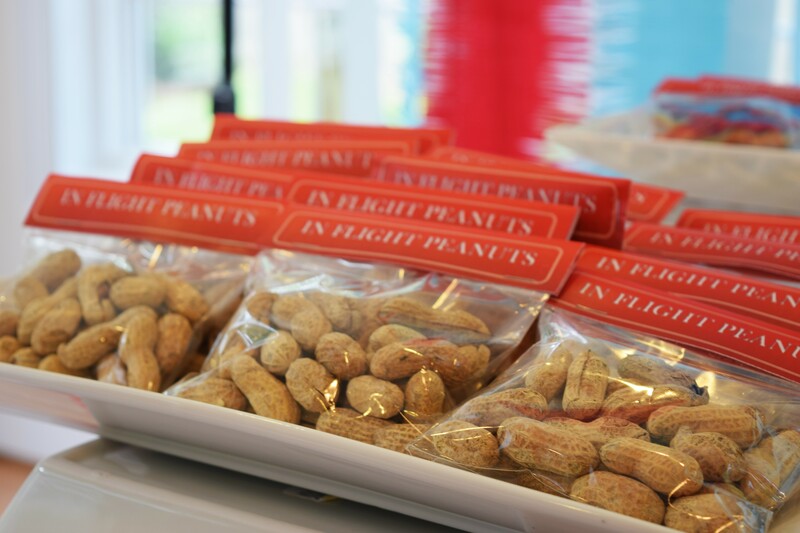 The table is just filled with goodies to grab and take home. 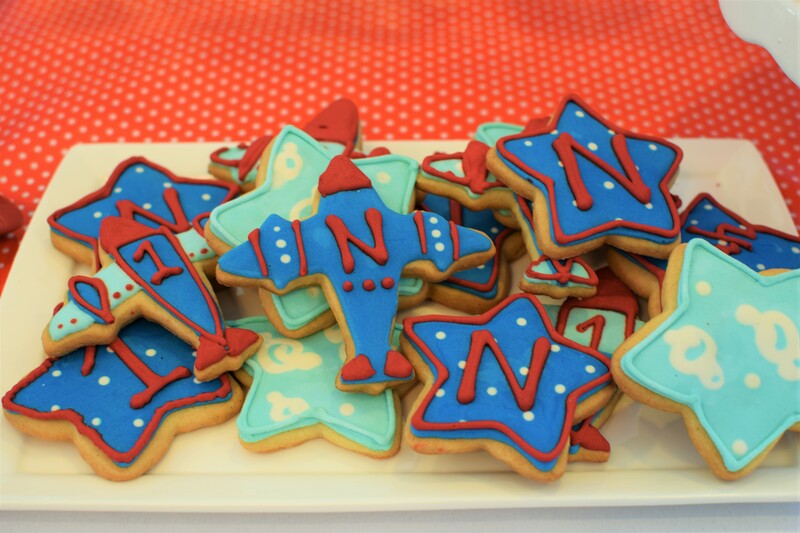 I had fun coming up with airplane related treats. I’ve also baked and frosted sugar cookies. I still need more practice with the royal icing. Thanks to Sweet Sugarbelle for her tips on making these! Let me tell you, it is no joke, when it takes time to make and prepare these. I may be artistic, but I am a novice when it comes to frosting. Simple and fun! Nothing more is necessary..
Bake sales are a lot of fun! Whenever my company or office had a bake sale, you could always count on me to bring something. One particular year, I committed to the Avon Walk for Breast Cancer. Little did I know that I had to raise $1,800 in order to participate in the walk. I thought that there was NO way I would be able to raise that much money. I was given the option of 1) if I meet the fundraising goal, I get to walk 2) If I fail to meet my goal, I don’t get to walk, but also am not responsible for the full amount. Luckily, it worked out for me, and I have no regrets knowing that it was for a good cause. I racked my brain to come up with some funds and came up with bake sale. Baking was something I am good at. 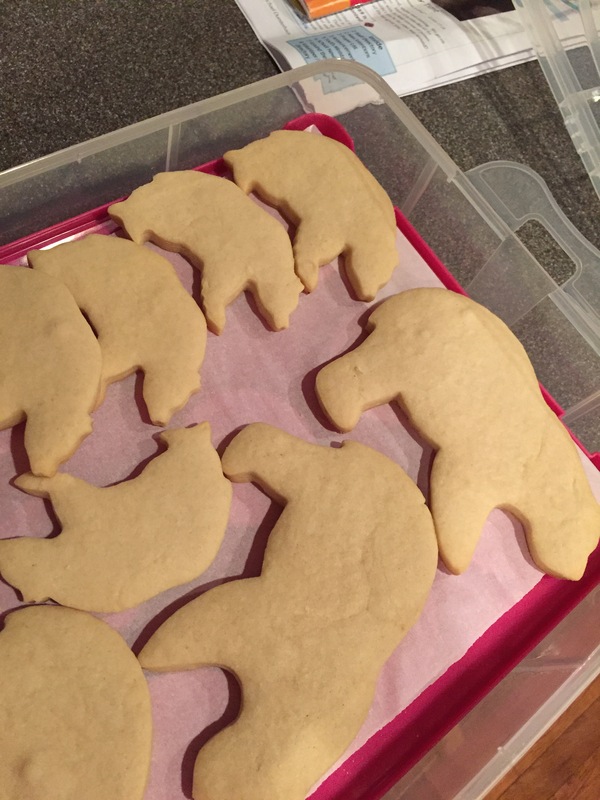 My colleagues loved my sugar cookies and it seemed like a hit at the last bake sale – why not? With the upcoming Avon Walk date approaching, I noticed the registration pack was filled with information about the walk, where the money was going to, and exactly how it was being spent. I created an eye catching information board with the help of Word.doc. Post-it notes are so cool. I printed out the website where people could donate on the post-it notes. That way, they could easily take the paper back with them to their desk. I spruced up the other side of the info-board for some eye catching decor. It was a way for someone who wanted to eat the lovely cookies but didn’t have money on them at the time of the bake sale, but allowed them to contribute to later on. I just had to have faith that they would pay since it was for an admirable charity. I was able to draft up an email to let the people within the building know that there would be an upcoming bake sale for a cause. Further, I created some eye catching fliers that I stuck to each of elevators for a reminder. I must say, it’s pretty in pink and reddish-purple. Gotta love Microsoft Word, when I don’t have Adobe Photoshop at my disposal. This is my other favorite thing to do: make the table look pretty. I brought in the balloons, framed the list of baked items, garlands swag, fluffed up the baked goods with doilies and pink ribbon galore. The result, people raving about how classy and neat it looked at a bake sale, and the hope that people would help spread the word about their favorite baked item. The result? I managed to raise $432! With the help from my company that does price donation match, that was basically $864 raised on the event alone. My husband came home to say that I had a prospective client (his co-worker) who would like for me to decorate their colleague’s baby shower. Did I say yes? You bet! 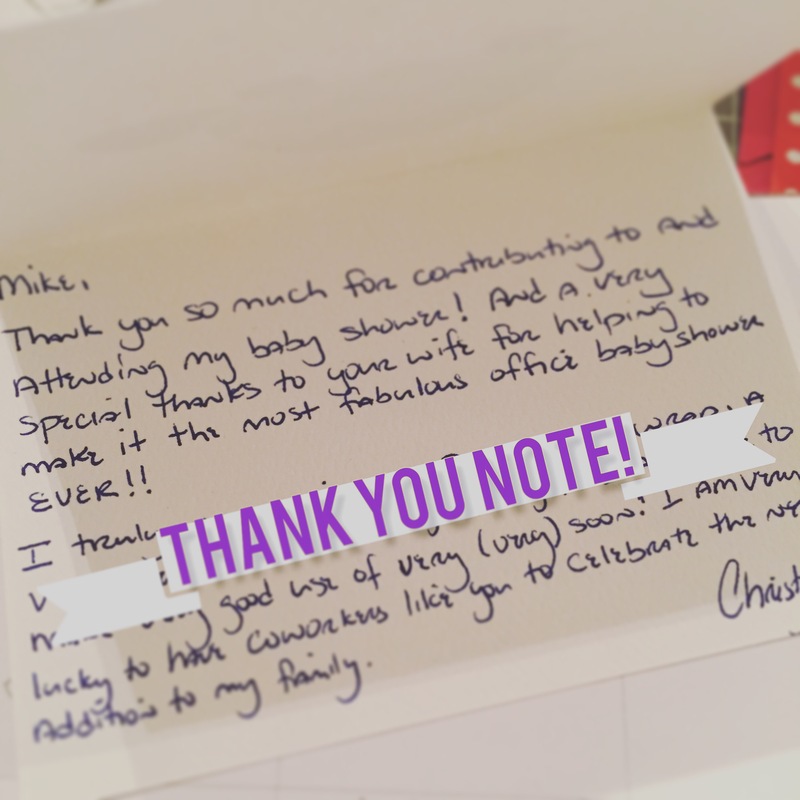 I was unsure of what the mother-to-be would like, as I was told that she was very easy going, kept her interests pretty close to the vest, and that she would appreciate anything. So it started out a little tricky, but I was up for the challenge. 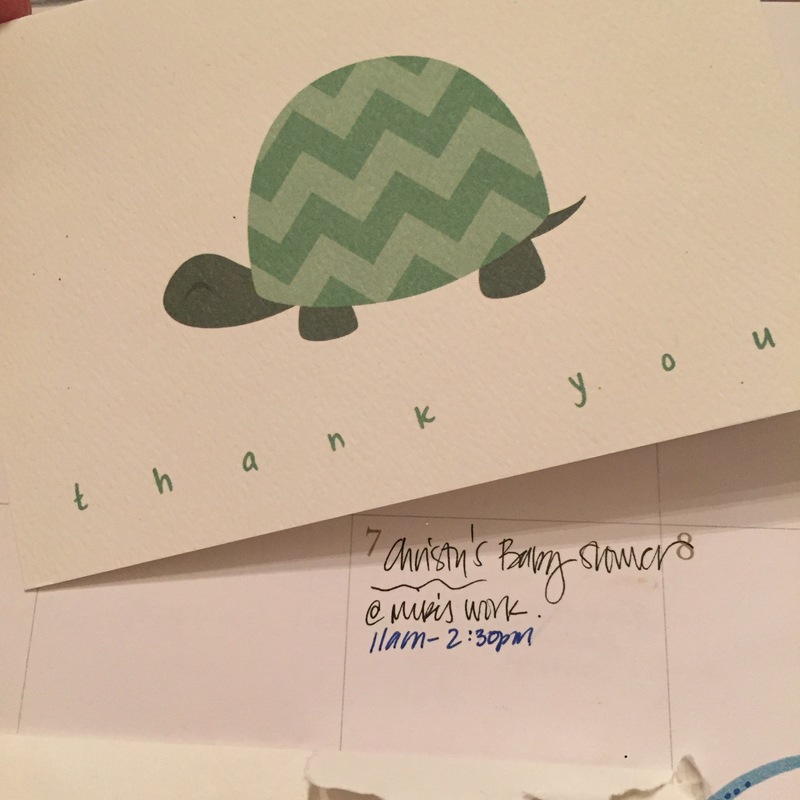 I came up with a simple sketch to pitch to my husband’s colleague, Shawn, to see if she liked it and sure enough…She loved it! She really liked the overall concept, (she nixed the balloons), but everything else she liked and was really excited about. After our initial meeting, Shawn sent me an image of what the mother-to-be purchased for their nursery. 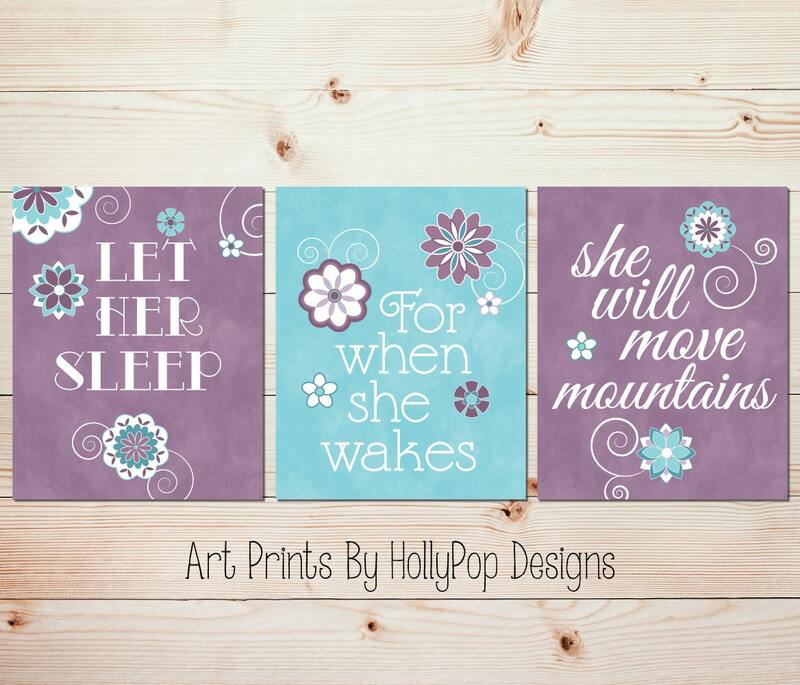 It consisted of mostly flowers, and the colors were purple, teal, and white via Holly Pop Designs. I came to the venue very early to set up the decorations. The drawing I had envisioned did not exactly translate to the space I was working with. I saw a video my husband recorded of the venue, the 9th floor terrace of the building. The area was large with lots of windows. Much of the wall space was taken up by the vending machines, cabinetry, refrigerator/freezer and sink. I had three hours to make this work, but three hours gave me lots of time. The result, everyone who helped out early, was so excited for the mother-to-be and her husband to arrive. I wished I could have stayed to enjoy everyone else’s reaction. I got word from my husband that everyone loved it and were blown away! 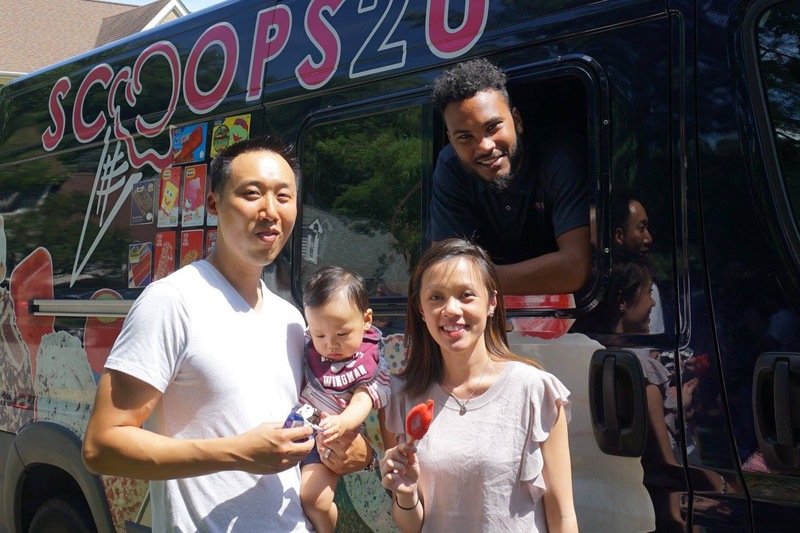 Even better news, the daddy-to-be just won the Democratic Primary election to be DC Council At-Large! Note: The main table was a bit bare, because I could not stay to help put up the diaper cake and two cakes that they had for the table. Everything hand cut, put together, and painted by me. Drew and used watercolors to make this beautiful guest sign-in board! Yay!! My cousin Peter just graduated from high school! I wished him the best of luck as he prepares for college in the fall, and encouraged him to enjoy the adventure to come. 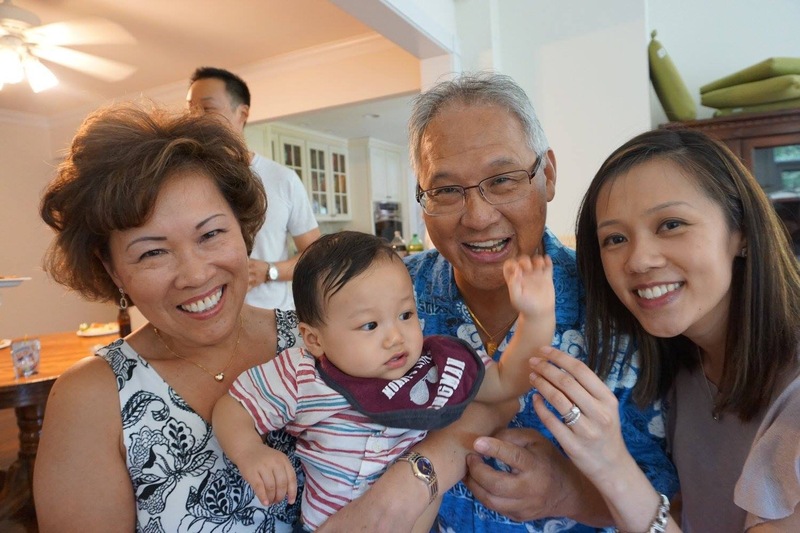 The first time I made a lei, it was actually for his sister’s high school graduation a few years ago. You can see the flower lei I have made out of carnations > DIY: pretty carnation lei. Ever since I made that first lei for my cousin who graduated a few years back, I decided to make it a tradition. I wanted to add a personal touch to make their special day just a little bit more memorable. So I thought, instead of a bouquet of flowers, why not a lei? Plus this way they don’t have to carry flowers, but wear them! I’ve gotten lots of positive feedback from my family and their friends. So much so that I’ve made it my mission to make these for my younger cousins once they graduate 🙂 For my cousin Peter, I decided to do a money lei (as opposed to one made of flowers) because who wouldn’t want to have money around their neck? And since I planned on giving him money as a grad gift anyway, this just seemed like a more creative way to do so. I know there are a lot of versions for making a lei, so here is my own version below. paper clip – loop it to make into a needle like-thing. He folded the money a bit smaller and said it to worry if it is not perfect. So I definitely encourage you to follow his style! First, fold the money in half, hotdog style. Then turn the bill around, and fold the short end, accordion style. Try to fold at the back of the dollar bill, so you can see the border (white part) as your guide. I then put the strings in the middle, held together with a cardboard and clothes, so I can tie around the money easily. (I mean, you could use your teeth if you wanted to, but that’s unsanitary, lol! ) Afterwards, I cut small strips of the double-sided tape and put them on the edge. Open the opposite side, like a fan, and press together the edge for them to stick. 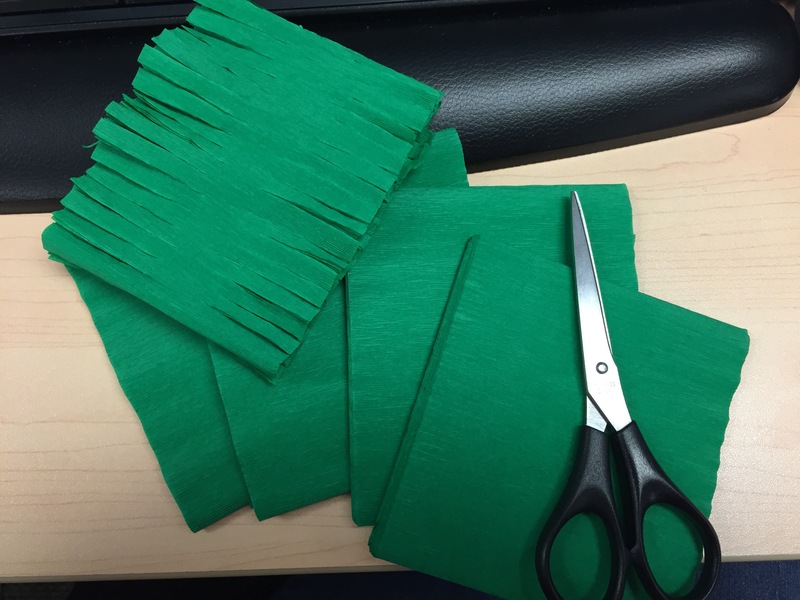 Fold them like an accordion-fan style. The slimmer/smaller, the better looking the flower leis will look. 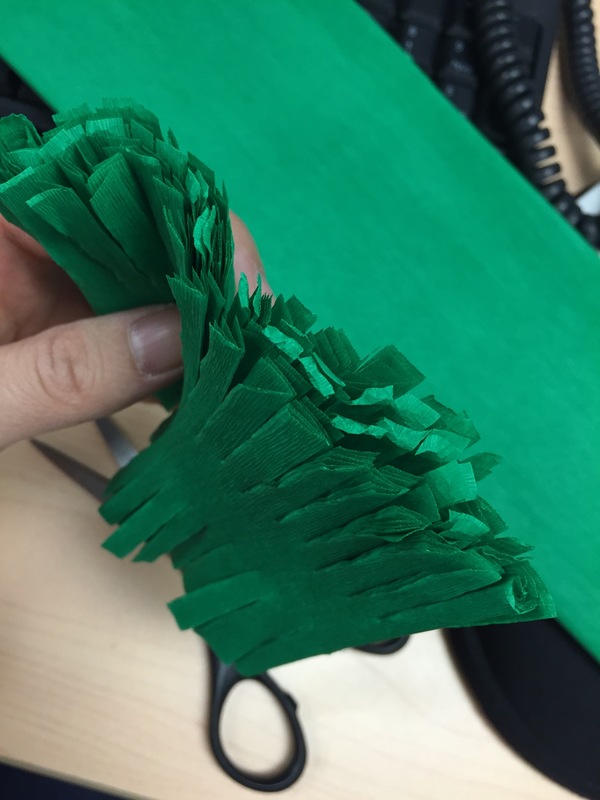 When folding the cardstock, they are thicker. I highly recommend using a hot glue gun, instead of regular glue or double sided tape. Repeat steps going backwards (see above)..
And here you have it! It’s manly, well as manly as you can get (considering it’s a lei) versus flowers. And everyone loved it :). My cousin was a happy camper. Similar layout with the steps above, I just added an extra color of maroon. I loved this also! I was super excited when I was asked to create some Cocktail Hour signs for my friend’s wedding. When they reached out, the couple said that they would totally understand if it was too much to ask or if I was too busy to do it. Are you kidding? I love these two, and I said of course I would love to! The “tricky part” was that they wanted me to come up with the signs all on my own, because they trusted my creativity. While I was flattered by their confidence, I needed some type of direction. This wasn’t some weekend party, this was their WEDDING! And I wanted it to be something that they’d really love. I needed some inspiration so I looked no further than my husband’s custom wedding attire (he was one of the groomsmen) which was teal and bronze. That was my starting point and I built my initial vision around those colors. Eventually, after much begging and pleading with them on what the theme and style of their wedding would be.. they gave me a sliver of info– – peacocks! So I let my creative mind run with it even further. To be honest, I found that making the wedding decor was very therapeutic for me. I was really happy that what I was creating, would displayed on their special day. It meant a lot to me to have this role in the wedding of two people that I really care about. Little did the bride-to-be know, that it was my goal for her to really love and be really blown away with my work. So I kept in contact with the groom-to-be, Raj, regarding my progress. 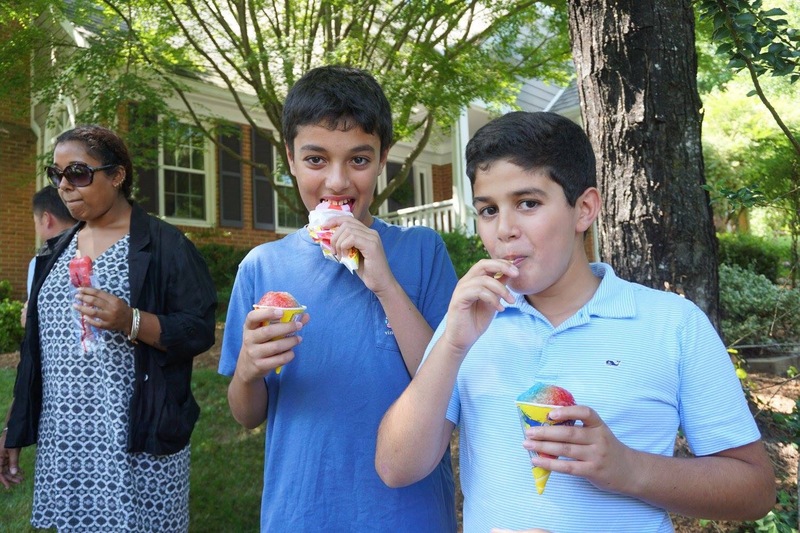 I could not have been happier when I saw their reaction to what I had made. The look on her face (and his) said it all. My heart swelled with satisfaction. My mission – completed. I recently took an expensive calligraphy class. Was it worth it, heck yes! The teacher, Michelle Fritz was an amazinggggg and patient teacher (www.meanttobecalligraphy.com). I wish I could afford to take her continuing class again *hint hint to my husband*. If you live around the Washington, DC area, I highly recommend you take her 3-hour class! You can also follow her on Instagram, her work is beautiful. 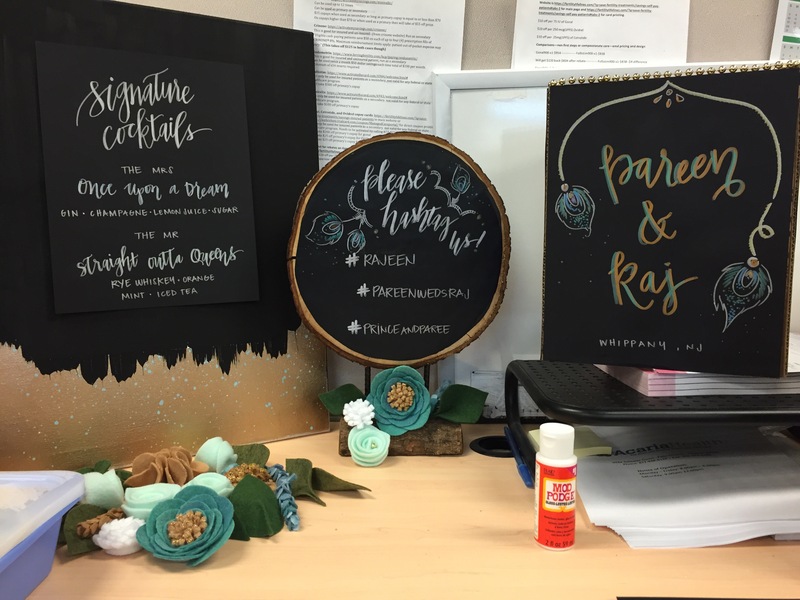 So, with some light practice from her calligraphy class and viewing tons of videos and photos from Instagram (for inspiration), I came up with these signs below. 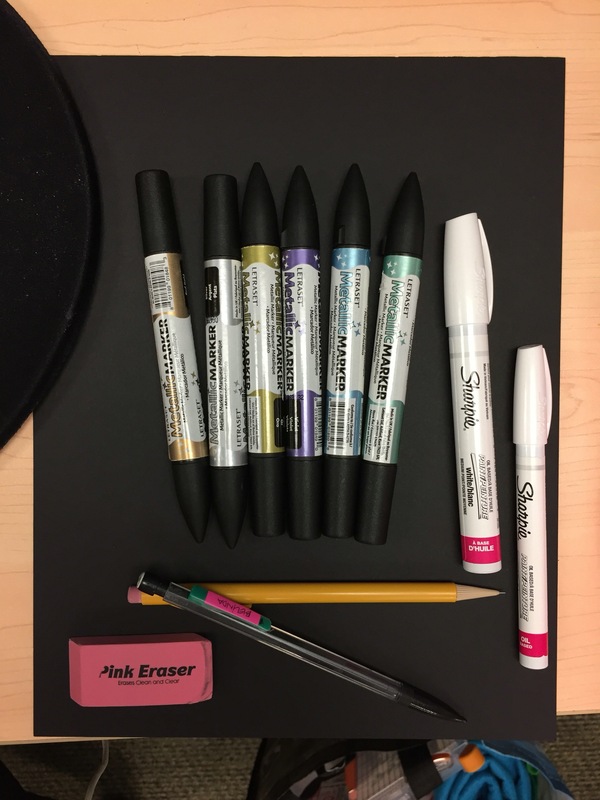 I love my Letraset Markers (found on amazon.com). I also added some felt flowers, in addition to the peacock feathers, to give it a nice romantic feel. The result, awesomesauce! Here’s my outfit that the couple’s cousin was soooo kind to let me borrow. Isn’t it lovely? I wanted to repay her by making a nice sign for her family (So if you are reading this, the offer still stands ^___- ). Oh yea, my son is on the right.. I had to keep him distracted, while I got ready. Would you like me throw an event just like this for you? I can make this happen for your special occasion! Feel free to reach out to me via merrylavenderevents@gmail.com or the form below. Have I ever told you my favorite color? It’s purple. I absolutely love all shades of purple! A friend of mine approached me wanting to help plan her friend’s bachelorette party. She didn’t have much experience planning such events. While that can be a bit challenging to work with, it was also a blessing. I incorporated all of her input, but also had the freedom to add a lot of my own personal touches. A win-win! Overall, it turned out to be a great success. One thing that was helpful (earlier in the process) was that I was asked to incorporate leopard prints. 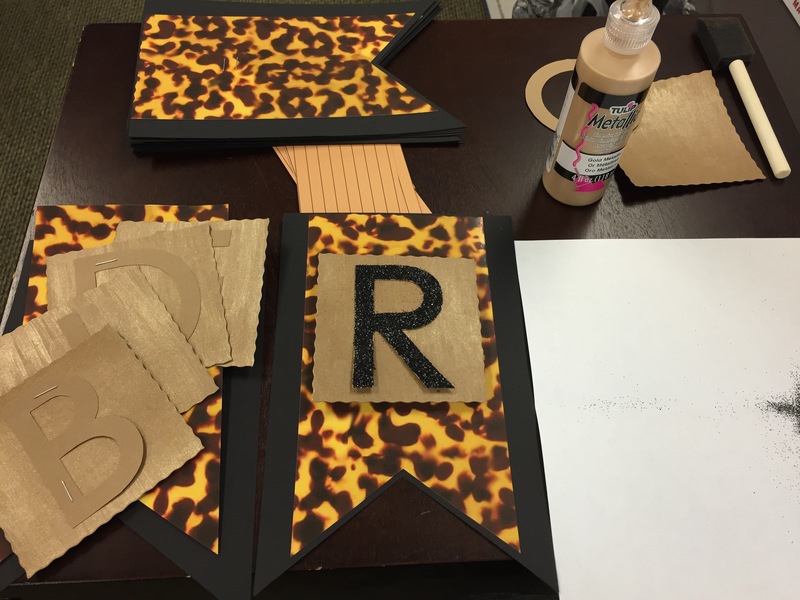 While it was a start, I didn’t think that using just black, brown, yellow-orange, and gold colors would do the trick for the bachelorette party. It needed something extra. I gave my friend the homework of finding out what the bride-to-be’s favorite colors were. Sure enough it ended up being purple. It worked out well, since the purple tamed the wild leopard print. I believe that that was the extra I was looking for. The purple added a softness and “girlie girl” touch. I sketched out my vision and ran it by her to see what she and the other bridesmaids thought. She loved it, and then I started gathering my materials to create some fun and wild bachelorette decor. If you noticed on the materials list, I included cardboard paper. Why? I love how it gave a little pop, adding depth to the banner. So if you are trying this at home and you have time, why not just apply the back of the letter and the banner with a hot glue gun? I assure you, it looks more appealing that a flat surface. Think, 2-d.
What’s missing: Tier of cupcakes with leopard diamond cupcake topper. Aside from the banner, I wanted to make sure that there was another big visual interest to add to the party. So I piggybacked on an idea from a previous event I designed for, and came up with a sign below. I saw one on Pinterest that had originally said “Time to Drink Champagne and Dance on the Table.” However, I was told that it would be a more chill bachelorette party – probably no clubbing, but they do like to dance. So I reworded it to the phrase below. I think it was perfect! I knew I had to incorporate the glittered champagne bottles for each of the guests. It did not take much convincing and she was floored when she saw these. Don’t the chevron diamond straws on the glittered champagne adds a nice wow factor? I also wanted to have some type of party favors for the guests. I convinced my friend that a survival kit was a good idea and I would make it fun! I sewed and hand stamped the bags. I included the necessities : band-aid, lotion, tylenol, ibuprofen, cramps meds, q-tips, etc.. I had made some cupcake toppers upon the request from my friend. I had help from Shawna’s baubles and belle diamond template to help create the cupcake topper that I needed. Perfect rosette frosting makes me happy! Lastly, I won over my friend with some DIY wine glasses with leopard print paint. This took a lot of time to make, but overall, it was worth it. 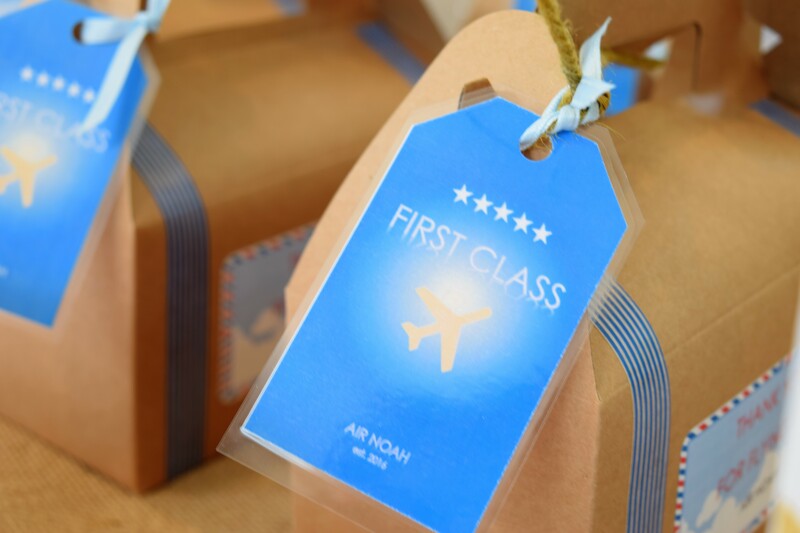 I loved the name tags I hand-lettered and personalized them for each of the girls *swoon*! I love treating my guests with goodies at parties. 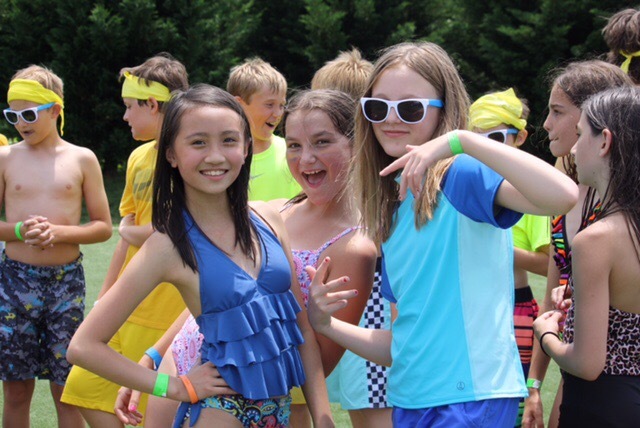 For this event, I wanted to make sure that these girls felt pampered. They came away with glittered champagne bottles, leopard printed wine glasses, survival kit bags, and lots of memories! 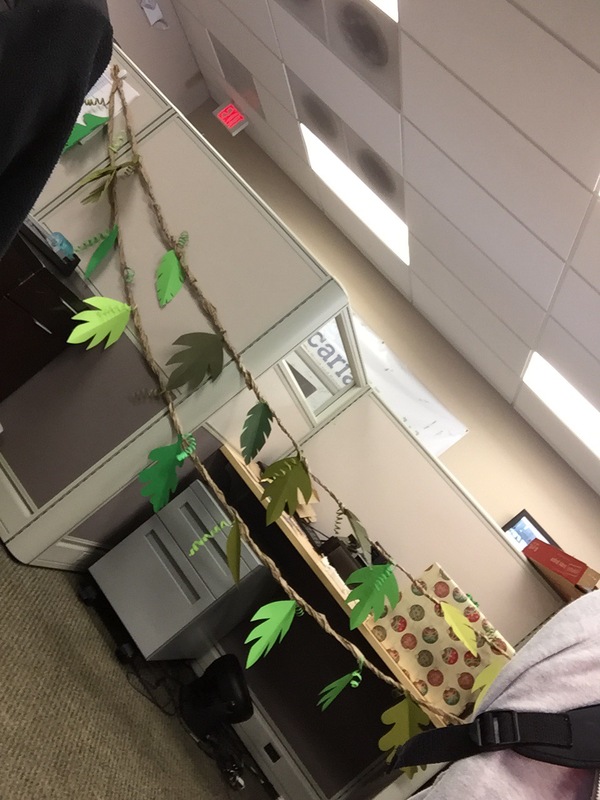 NOTE: I was unable to attend the event and set up the decorations. I was away on a vacation that was planned months ago, but I did set up the decorations to how I had envisioned it and showed it to my friend so she could display it the same way at the party :). UPDATE: Success! 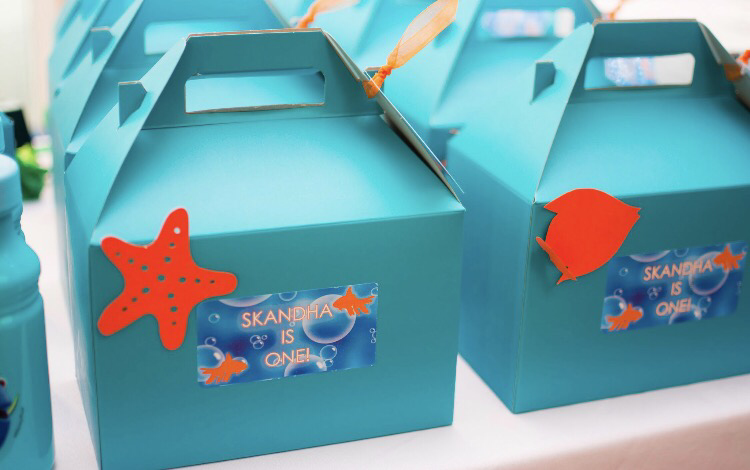 She mentioned that everyone loved and raved about the party favors and decor. So much so that even the bride-to-be reused the sign at her wedding! To be honest, I wanted to do more. Some of the other ideas that I wanted to incorporate were purple rock sugar candies and “I SURVIVED” creaseless hair ties…But, I had a budget to meet and cut cost. I was really excited about the project and I had a bunch of really great ideas. But because of some budget constraints I was a little bit limited in what I could do, and I felt a bit overextended. 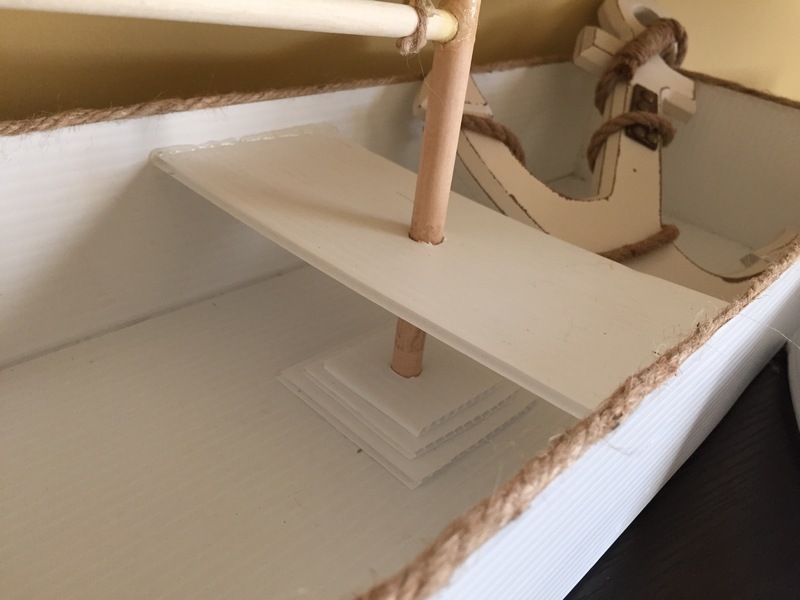 Nonetheless, I gave the project my best and instead of cutting corners, where more money could have helped, I put more effort on the handmade DIY side. Just because I wanted to see the project successful. 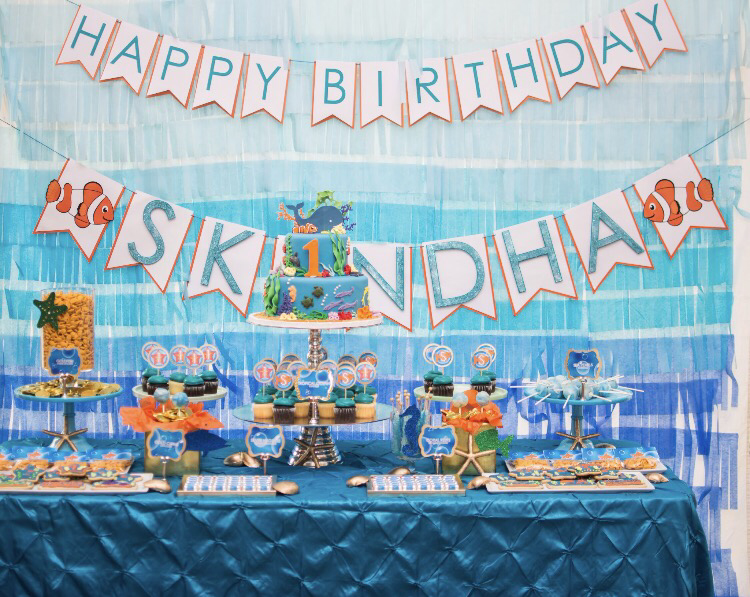 Rental of the: tablecloth, table runner, garland for the party, and includes 2-hour set up within the DMV area (or $150 without the rentals and set up). If you want to know where I get my inspiration from, it’s my auntie. If you think I’m crafty and have an eye for all things pretty..my auntie is that and more. Recently I stayed at her house for a weekend. She was away with her kids (my cousins), for a sporting event. One of my cousins qualified for the state finals! Yay him!! 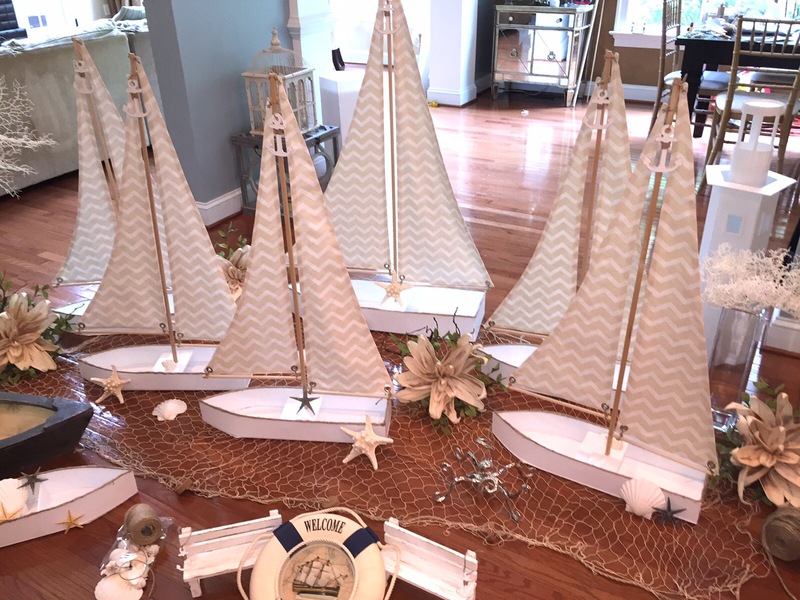 During my stay, my son and I played in each room and some boats in her sun room caught my eye. They were big, and upon a closer look, they were definitely handmade. Knowing my auntie, she was the one who made these. I told her they were fabulous and she did a great job! I didn’t even asked if she bought it. I just knew. 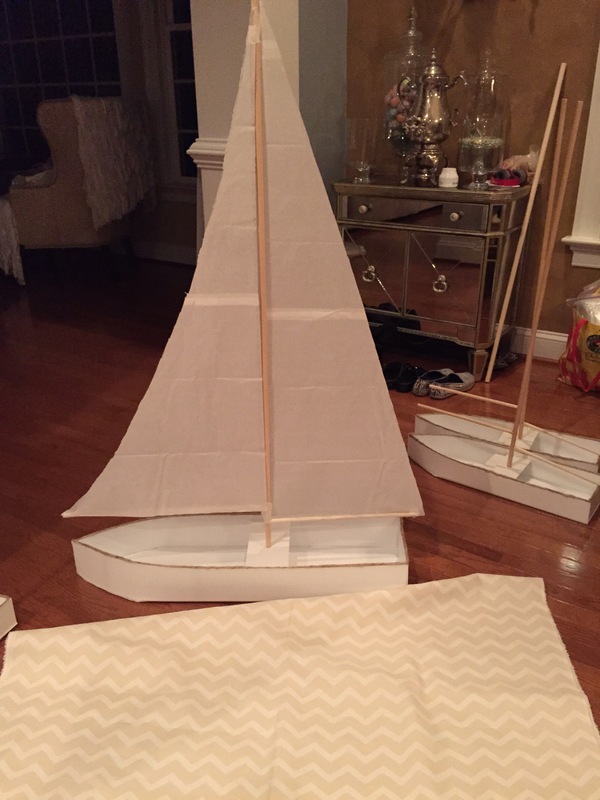 She created these sailboats for a girls graduation party. She insisted that they were rushed, but since she’s so talented, her “rushed” still came out amazing. 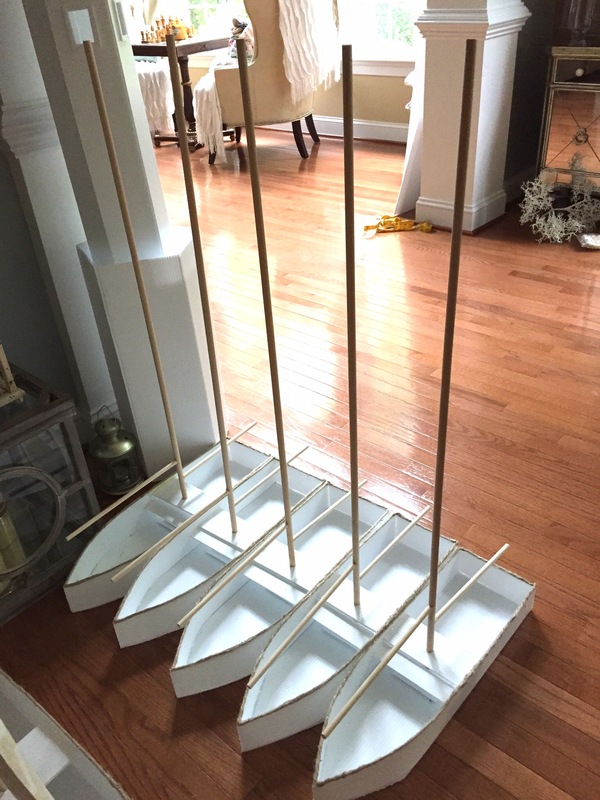 With her permission, I am going to share with you the process of how she created these sailboats! They are pretty easy to make as long as you have some time and patience. Plan accordingly, and gather your materials. 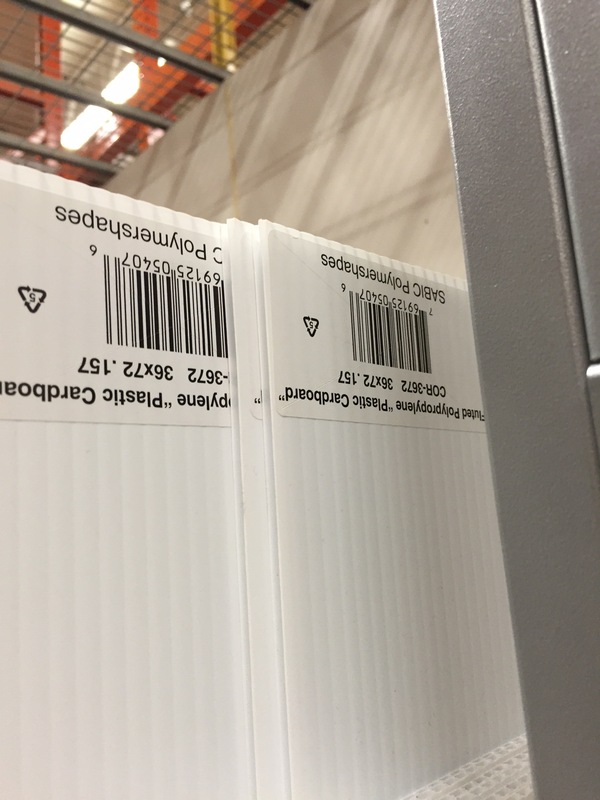 You can get your plastic cardboard at Home Depot. Your hands will hurt from all the measuring and cutting is the boards. This was trial and error. Cut to the size of the sail boats. You can make the insides anyway you’d like. Now get ready to go through bags of hot glue sticks! 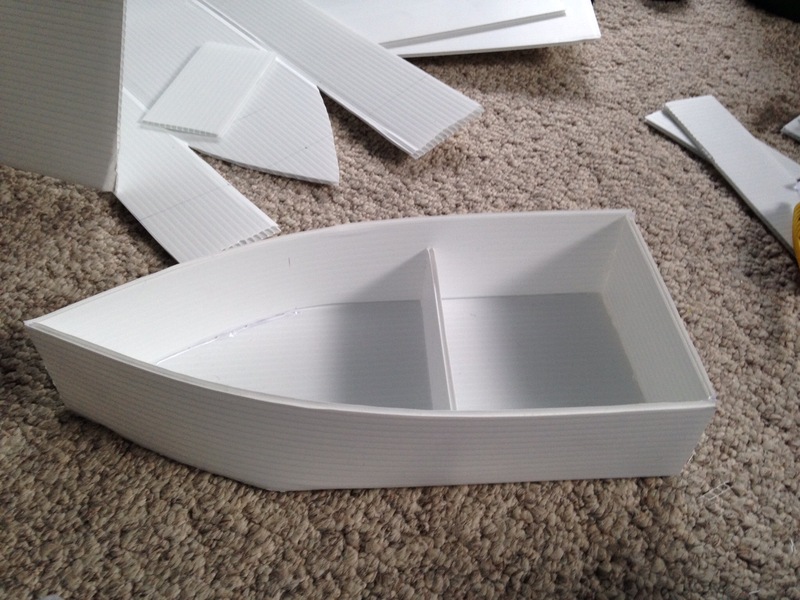 You will need to make hole in the middle of the boat, to anchor the wooden dowels as your sternum. 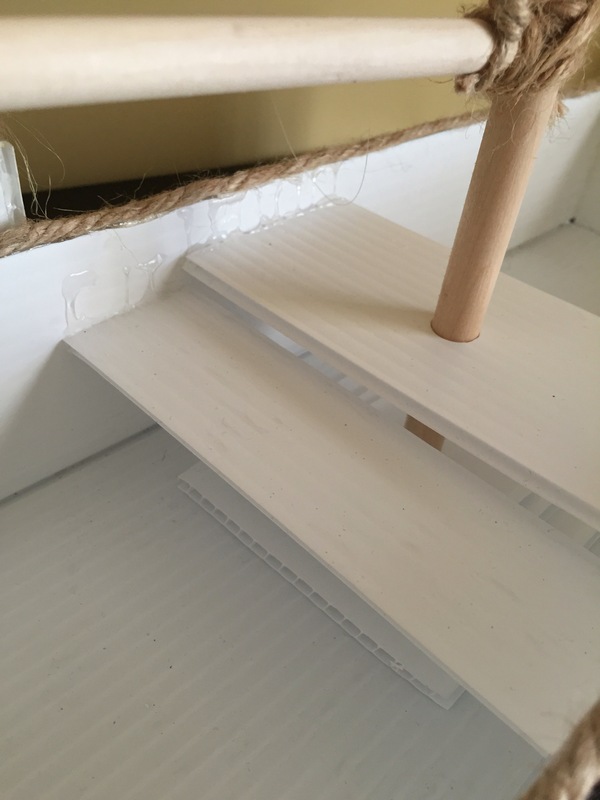 Upon closer look, you can see many rectangles plastic cardboard a were used to make the wooden dowels sturdy. Glue as necesary. 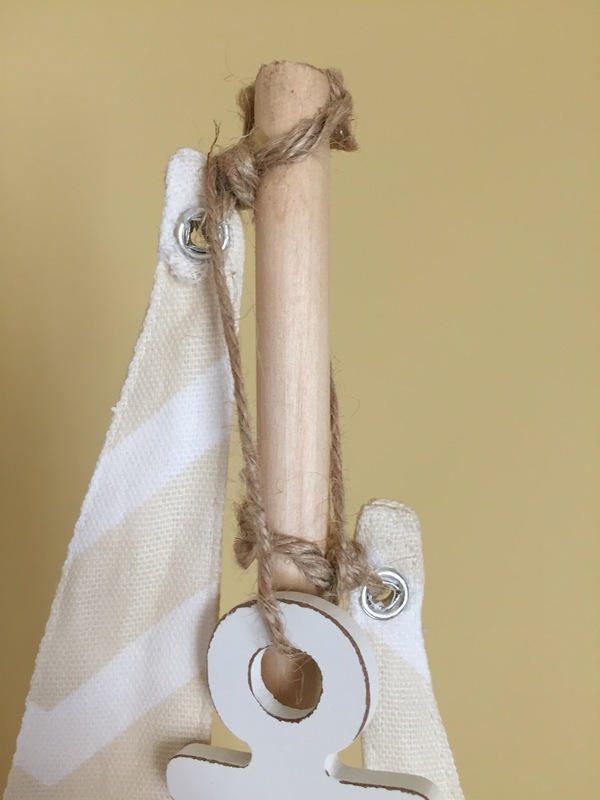 Use your hot glue gun and apply the jute rope around the rim of the sailboats. Snip off the excess rope. 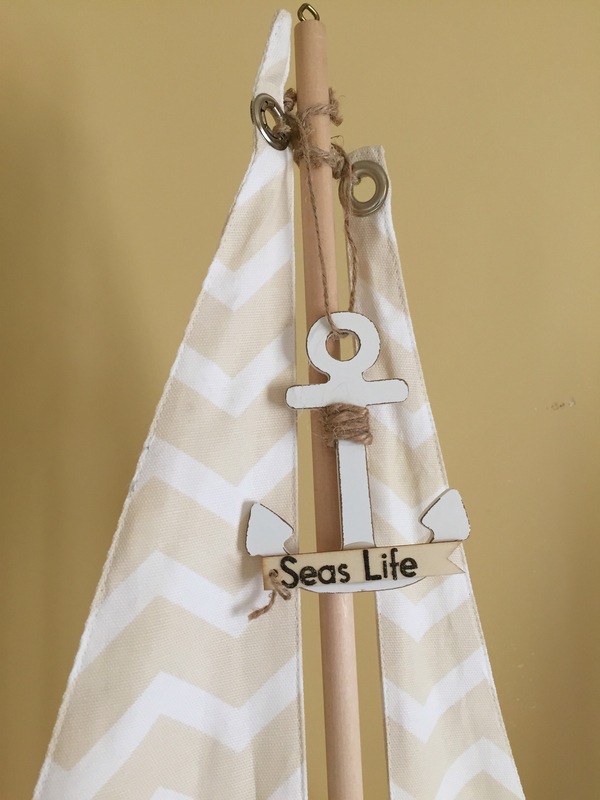 Cut out a piece of paper, to see how you’d like the shape of the sail flags to look. Afterwards, use the paper as a guide, and trace them onto the fabric. Here, my aunt liked the patterned chevron look. You can whip out your sewing machine and serge the edges for a clean look. 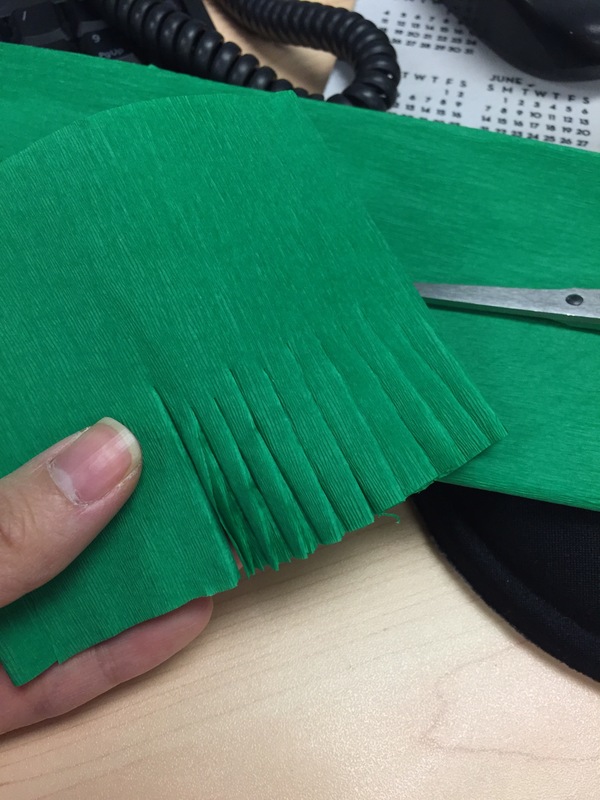 You can forgo the sewed edges, if you do not have a sewing machine. 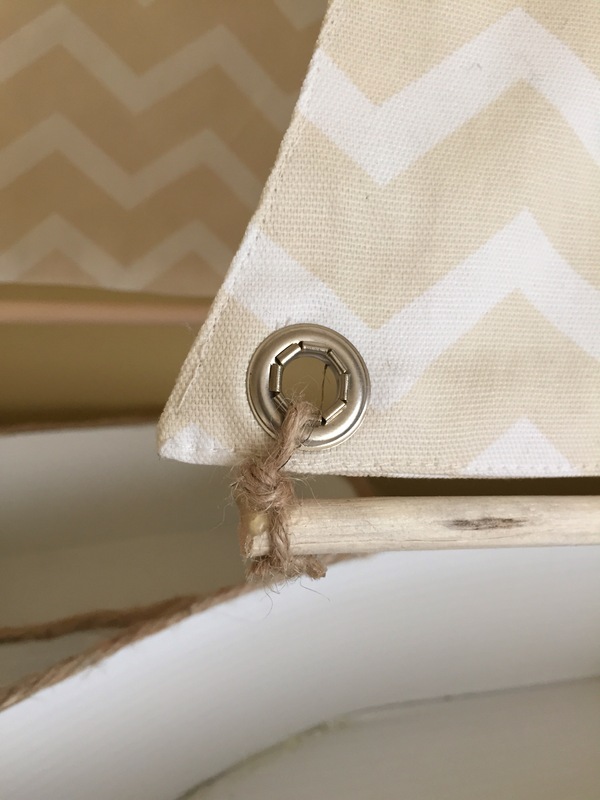 Next, take the grommets and apply them to the three corners of the sails. Here, she used rope to tie onto the wooden dowels for a more realistic looking. Use the anchor decorations to spruce up the look of the sails boats. 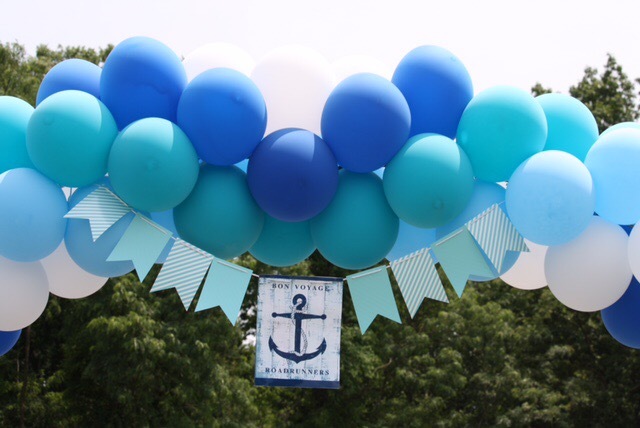 Upon entering the party, the kids walked underneath the arched balloons. She created a flag banner for a warm invitation to the party! 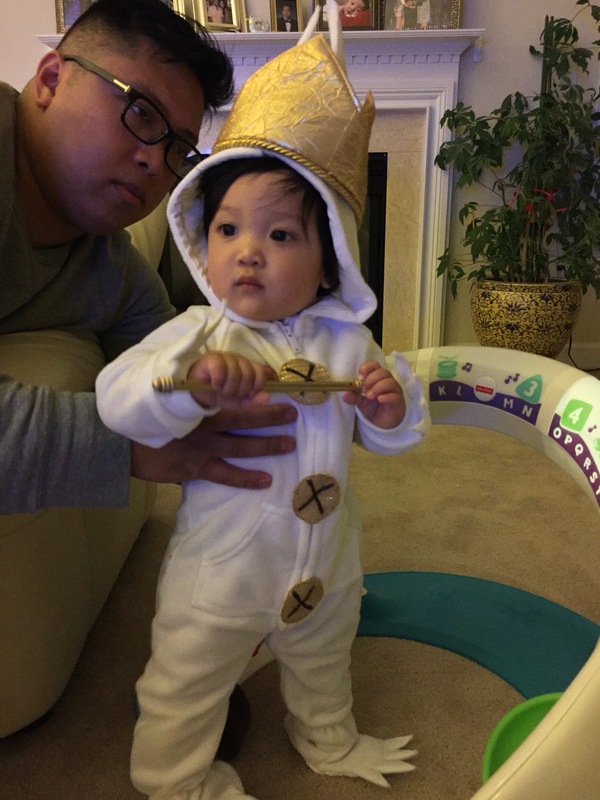 My original plan for my son’s first birthday was to have a space-themed party, but after I read him the book, Where The Wild Things Are, I knew I had to change everything. For two weeks, my sole purpose was to DIY on the decorations. 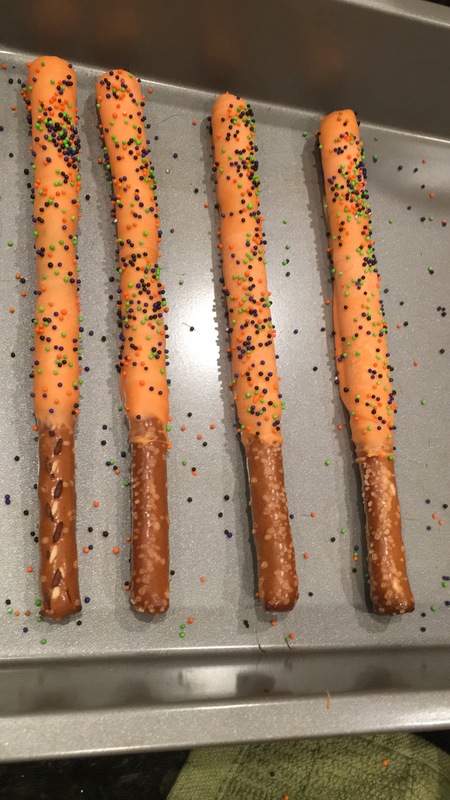 It became a routine, craft by day (at work, during downtime), and bake at night. While I’ve always been a fan of streamers, I really fell in love with the fringe streamers. It may seem like a lot of work, but it’s actually really simple and easy. Plus I saved money by making this myself. All you need are large sheets of folded paper crepe. I purchased these from Amazon.com. The fun is the unraveling part! 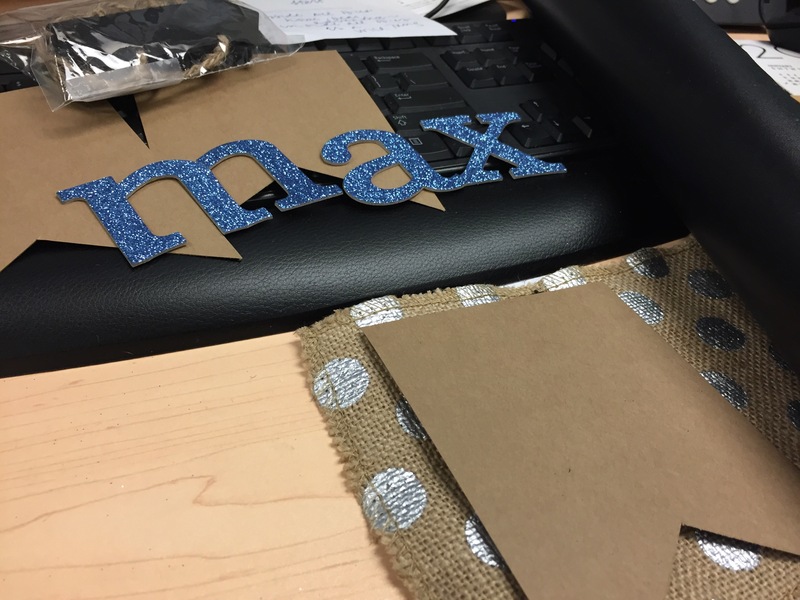 Next up, i wanted to create a personalized name banner to affix to his high chair. I wanted it to stand out so it would complement his smash cake. However, having a one year old and doing things pretty much on my own, my plan did not go the way I had wanted. However, I did find a place for this elsewhere. I wanted a have a craft station for the kids, so I got some gable boxes and lots of Christmas foam stickers from Michaels. As you can see, the tablecloth is not straight.. Since my son got a hold this area and wanted to yank them off. I promise, it did look nicer and clean!